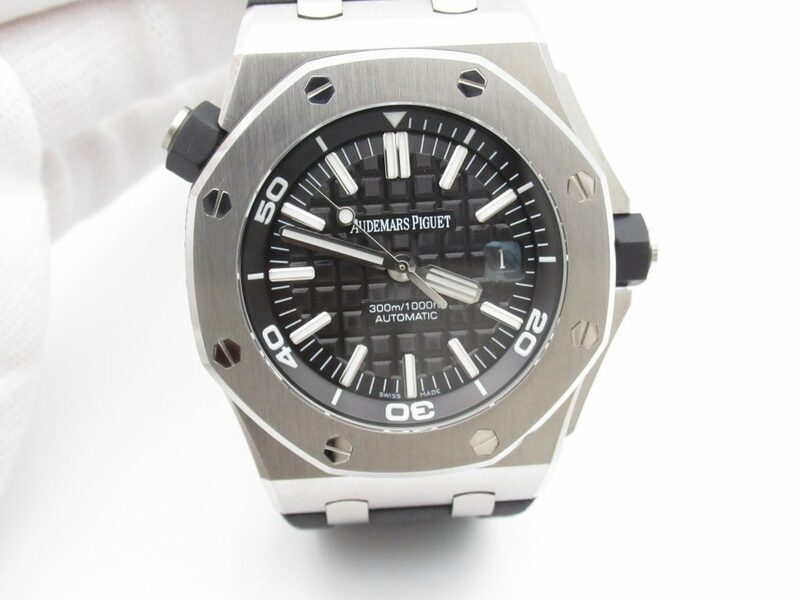 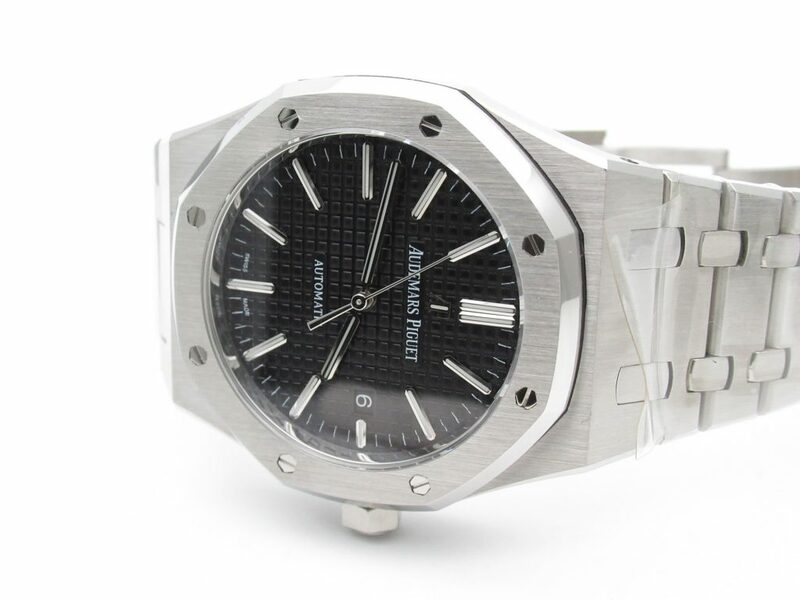 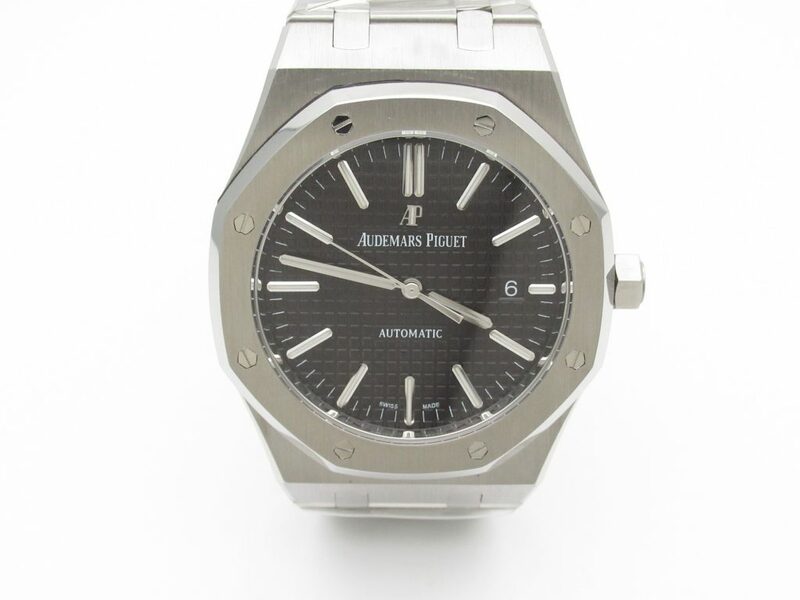 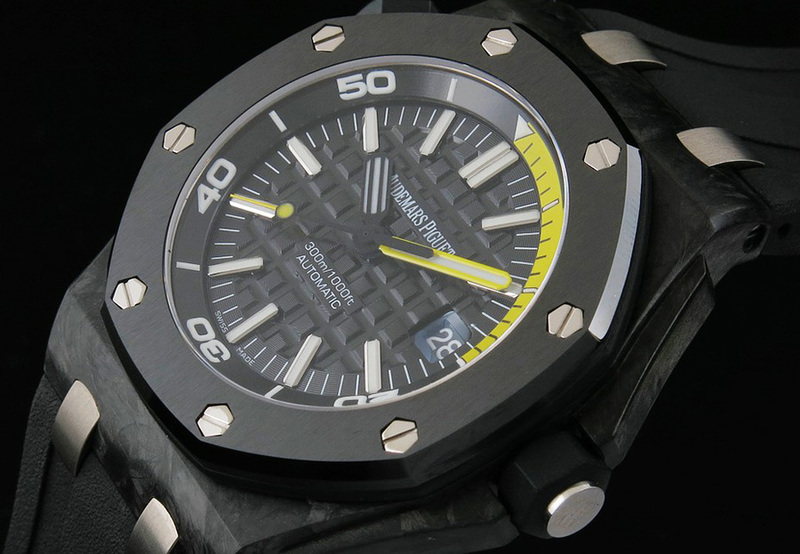 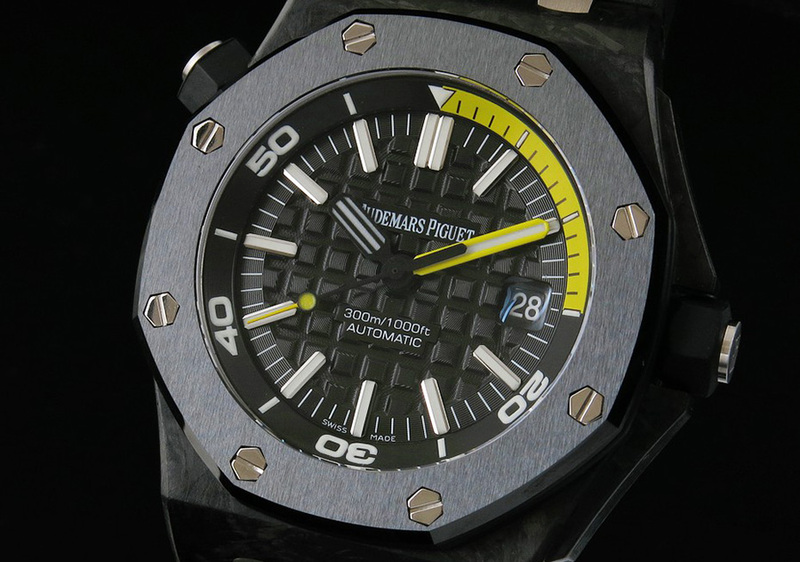 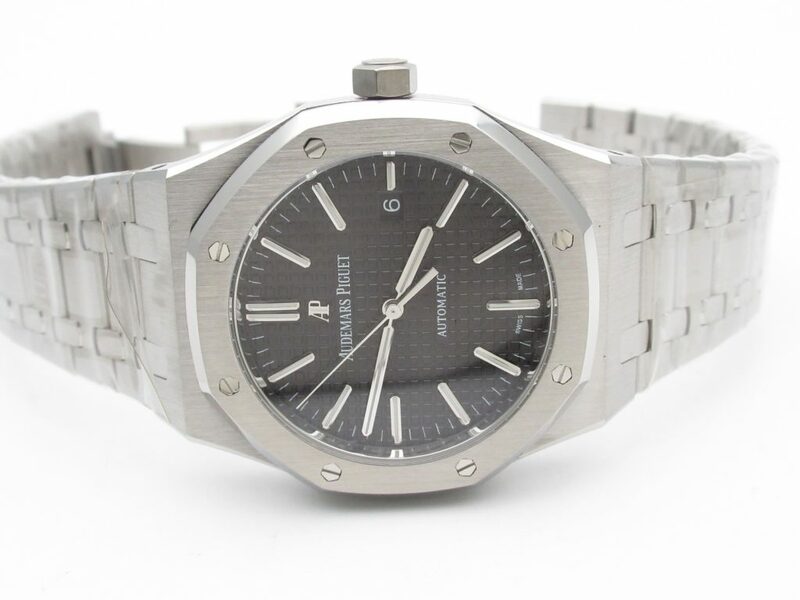 It is an ultimate replica version of Audemars Piguet Royal Oak Offshore 15706, the V5 edition from J12 factory. 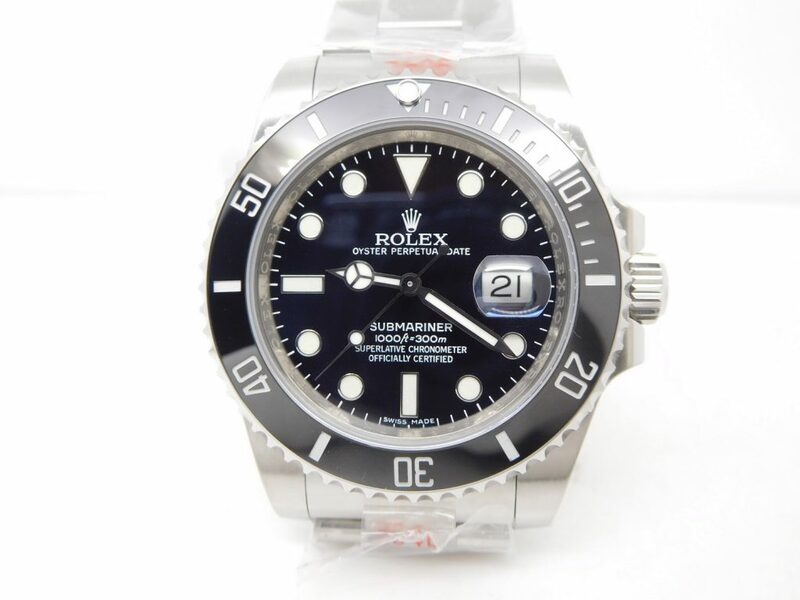 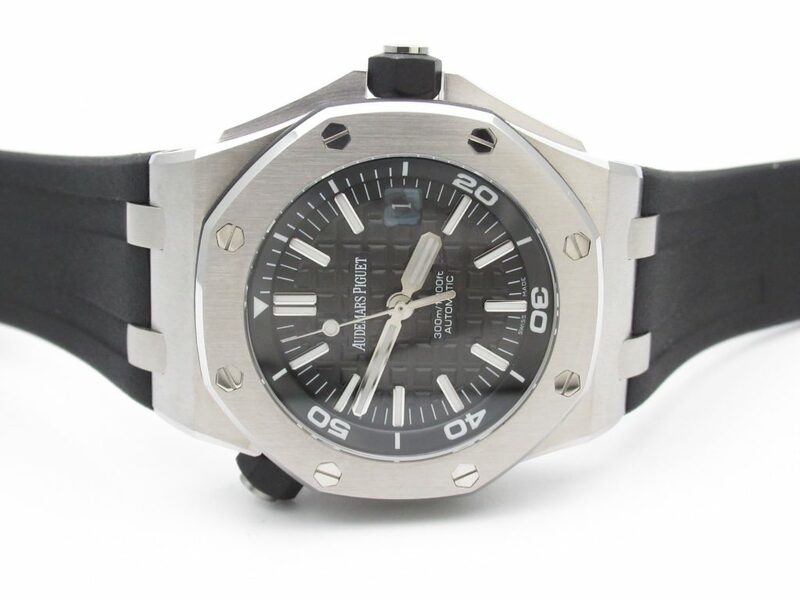 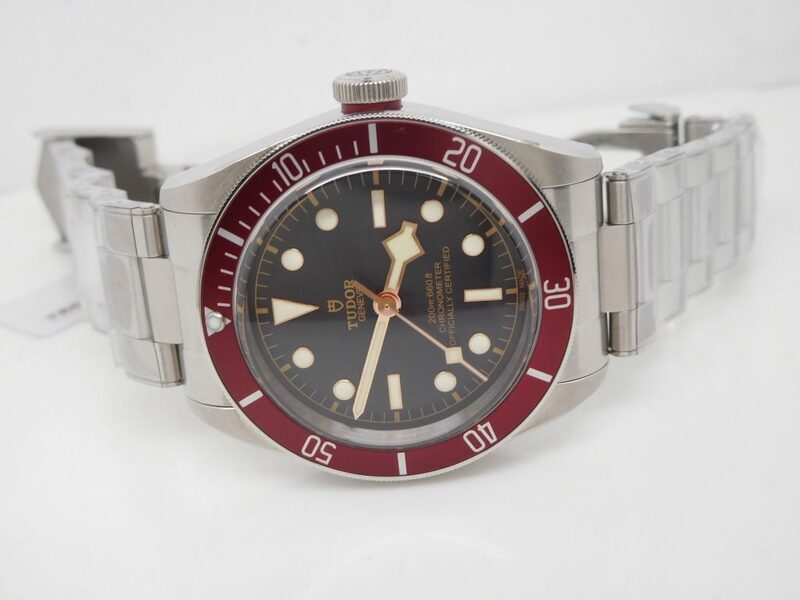 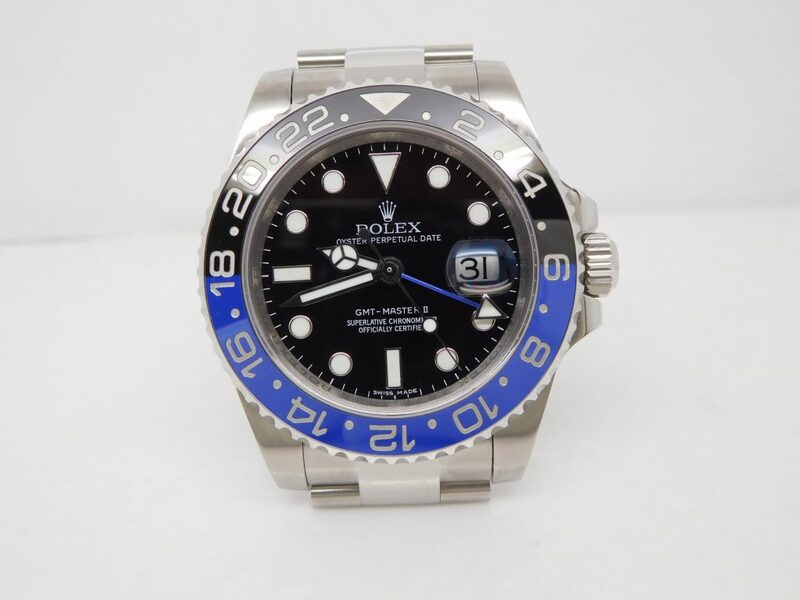 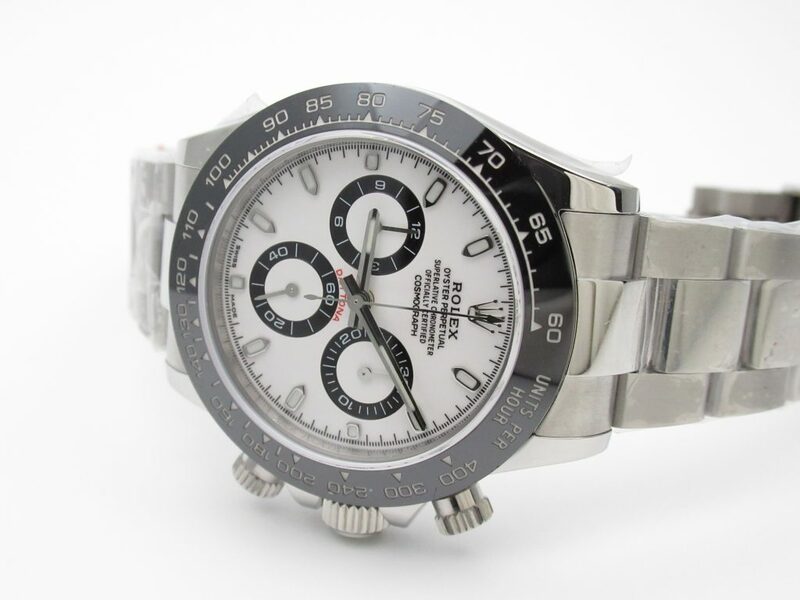 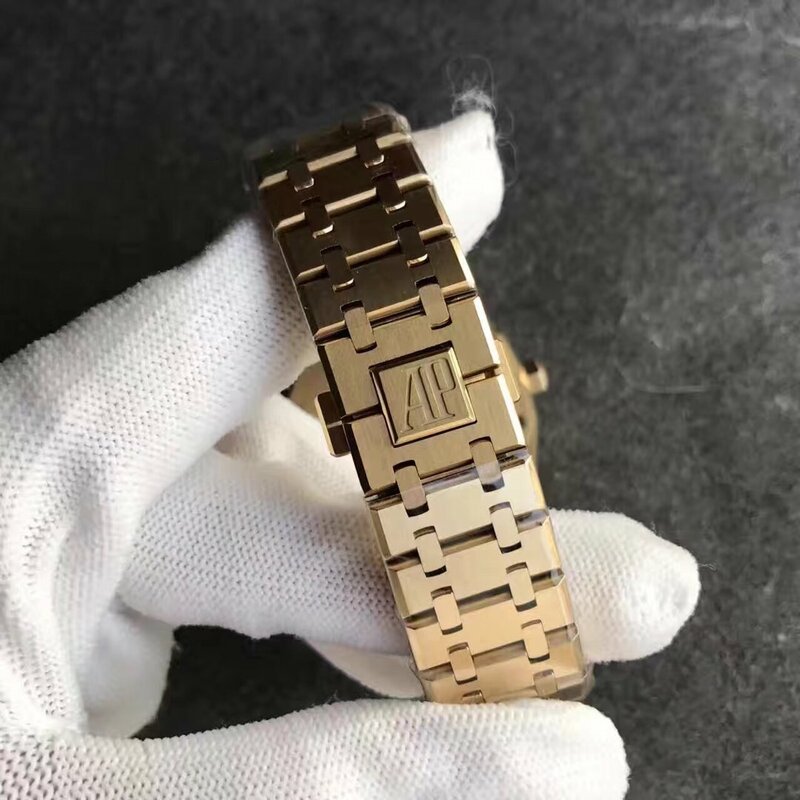 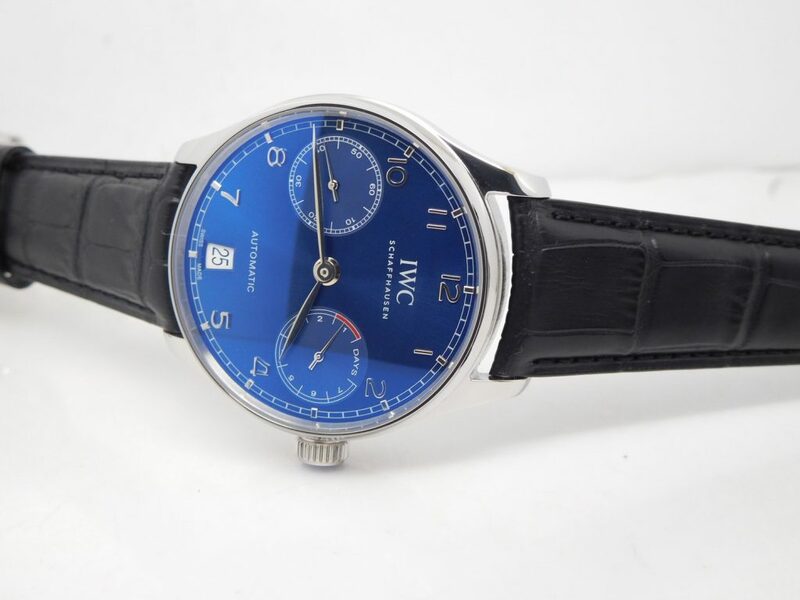 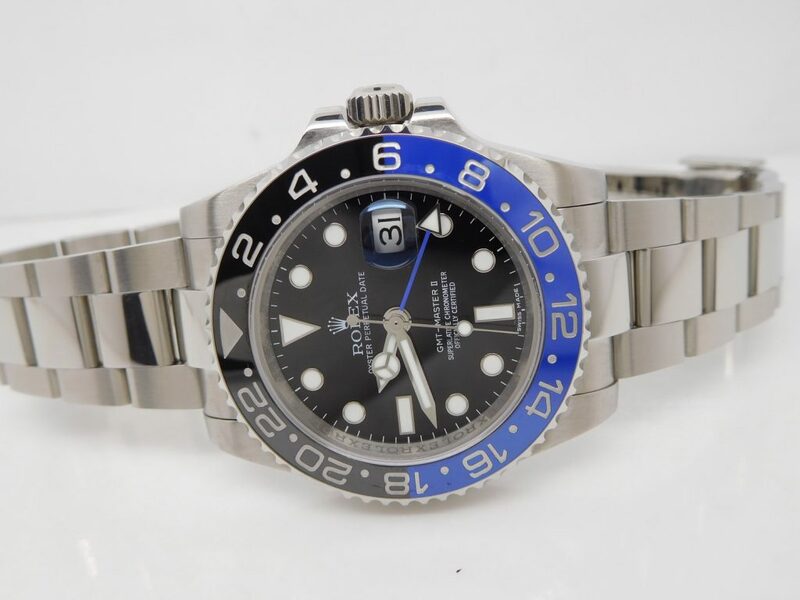 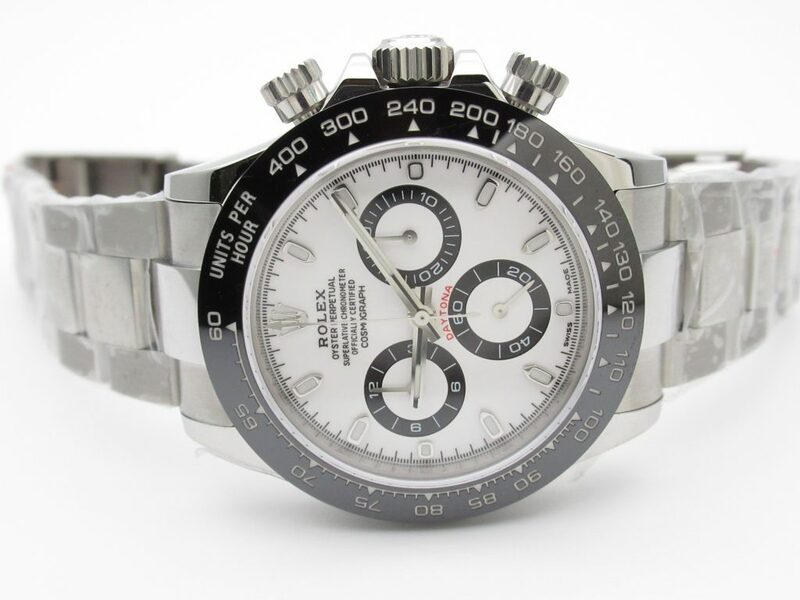 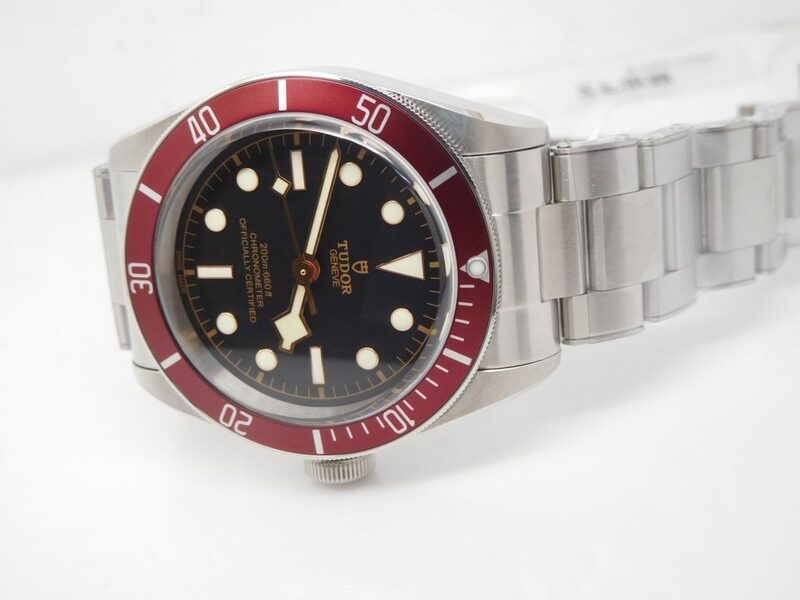 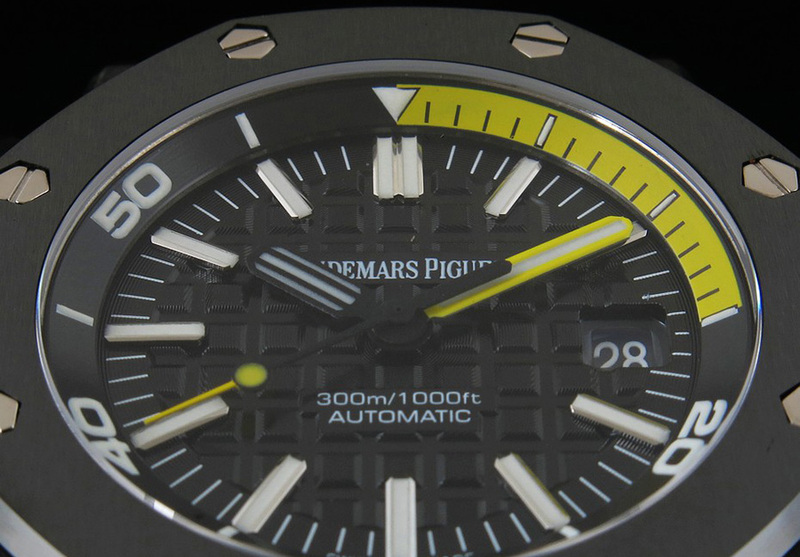 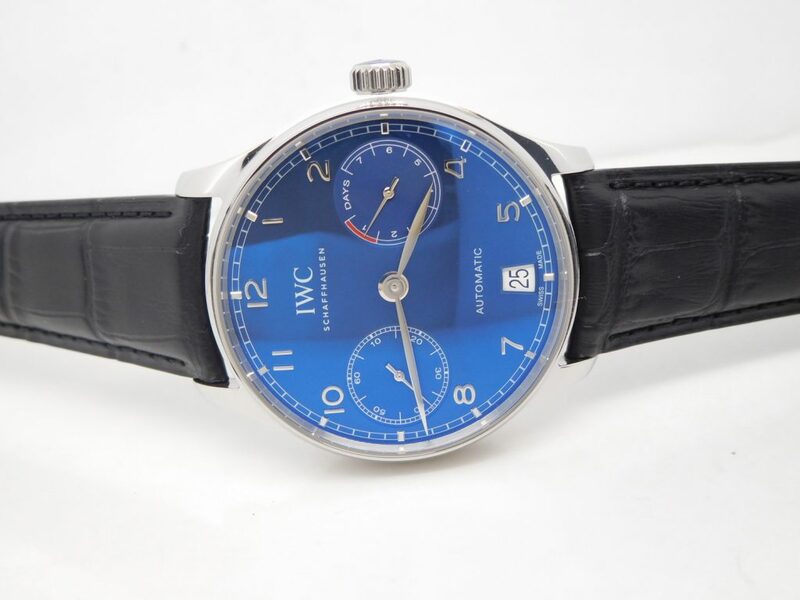 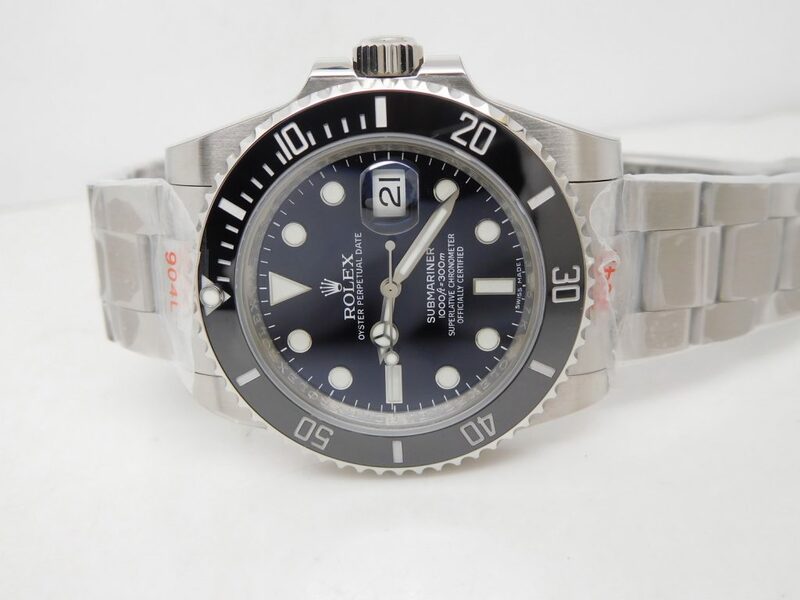 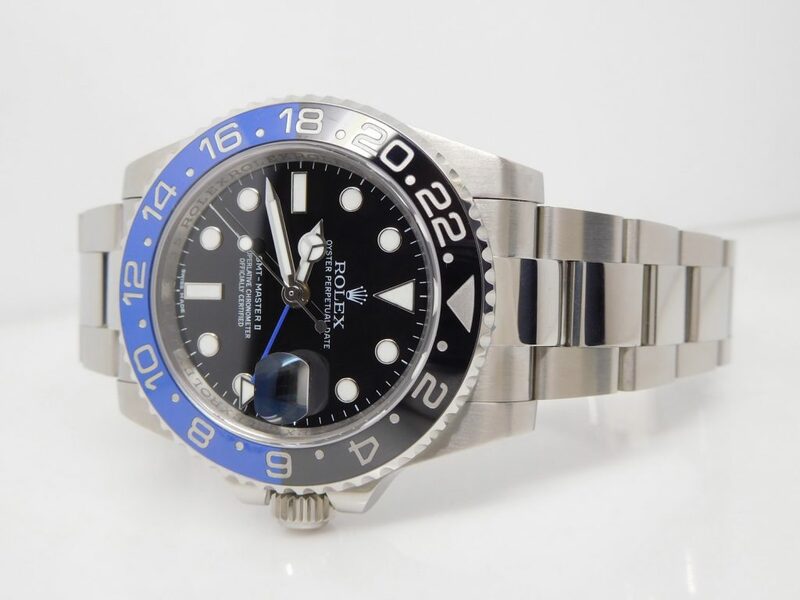 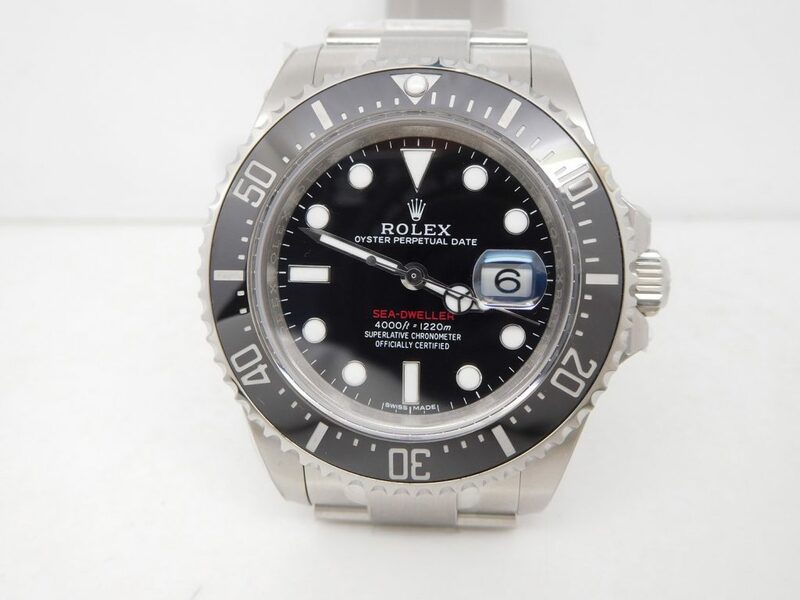 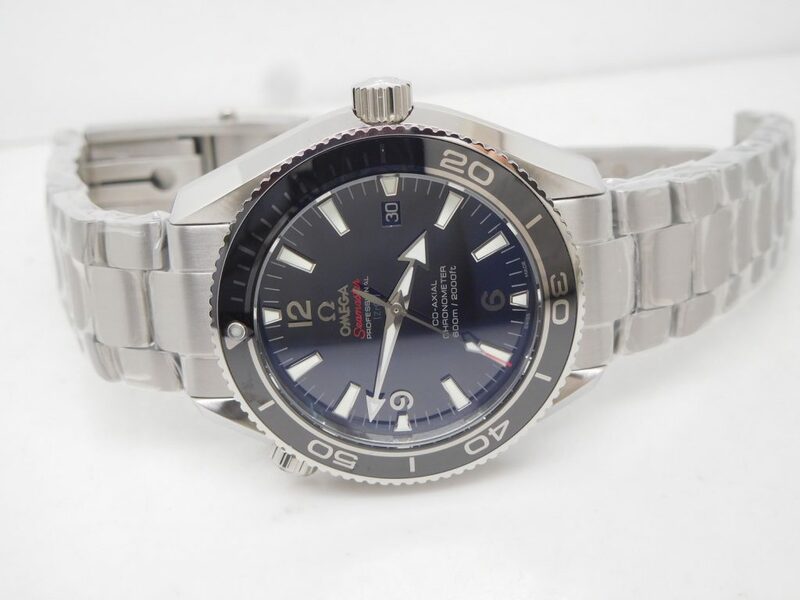 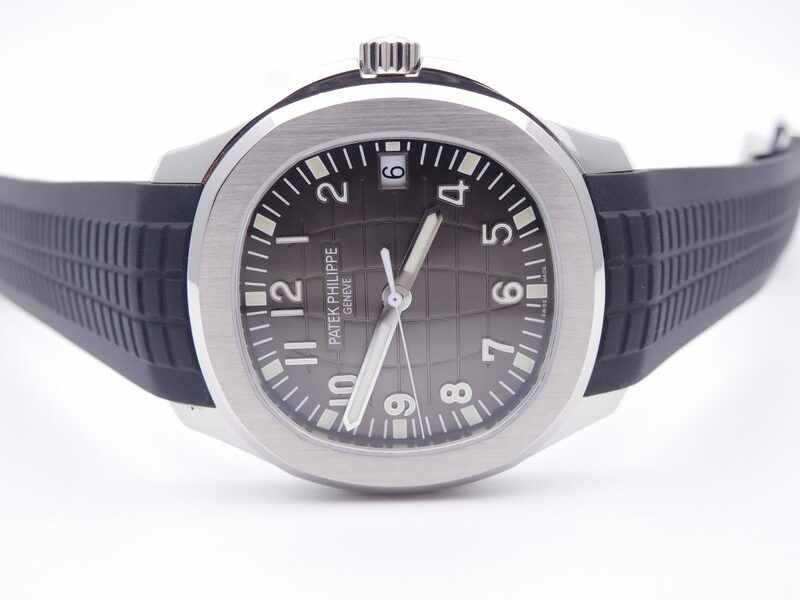 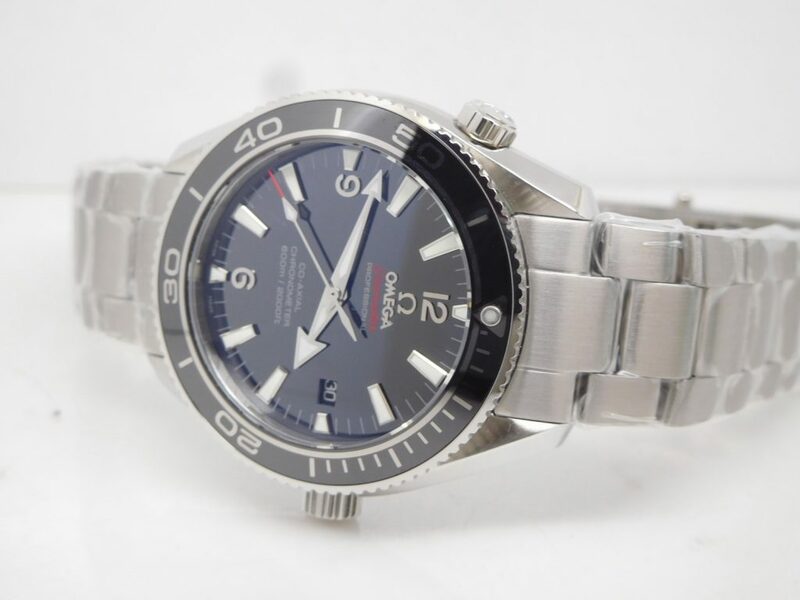 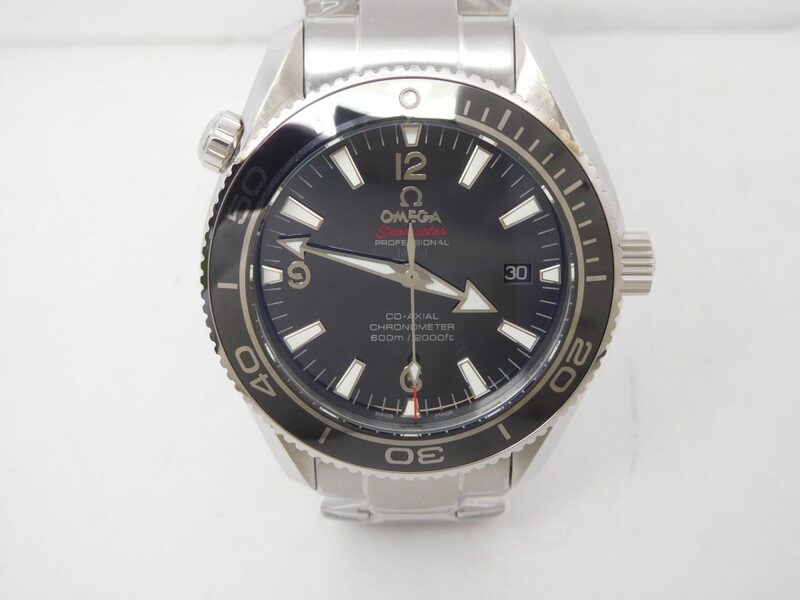 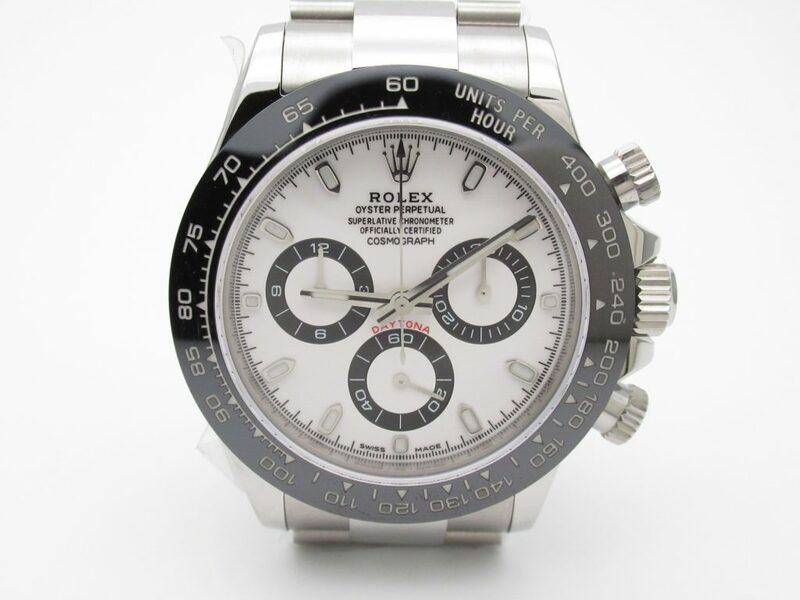 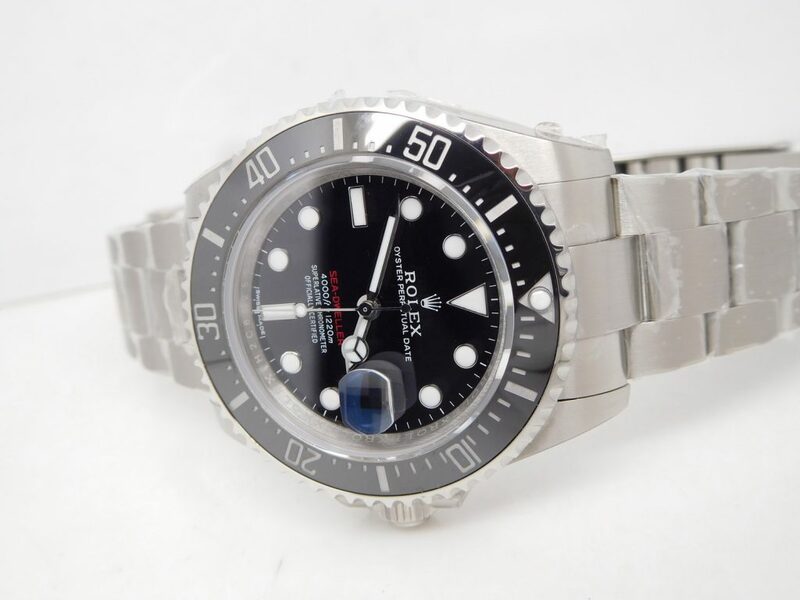 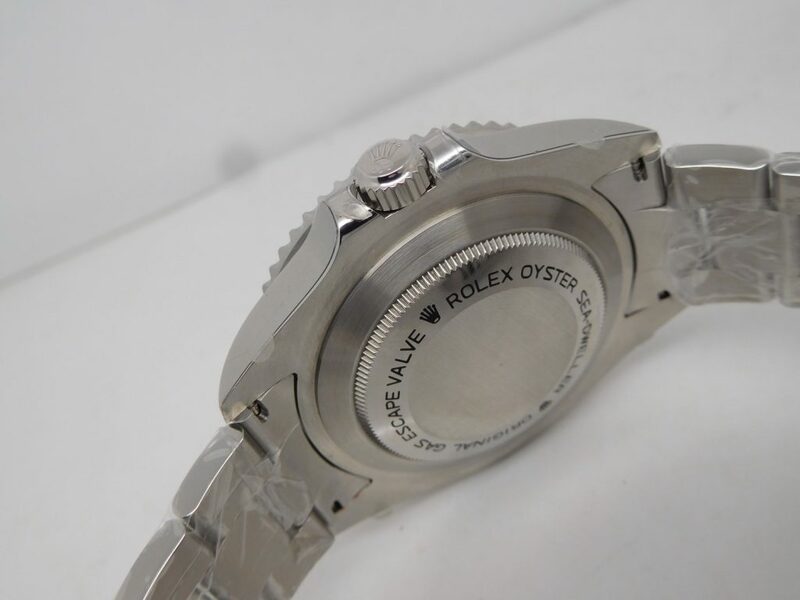 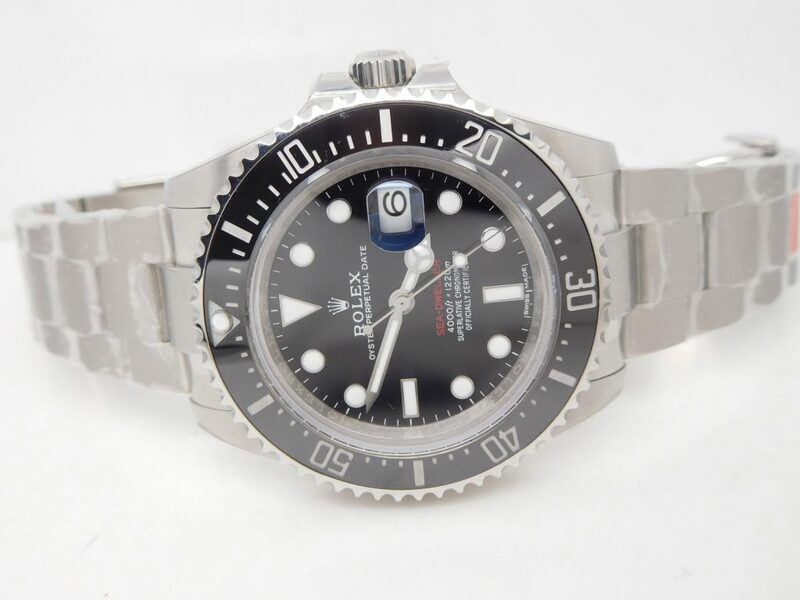 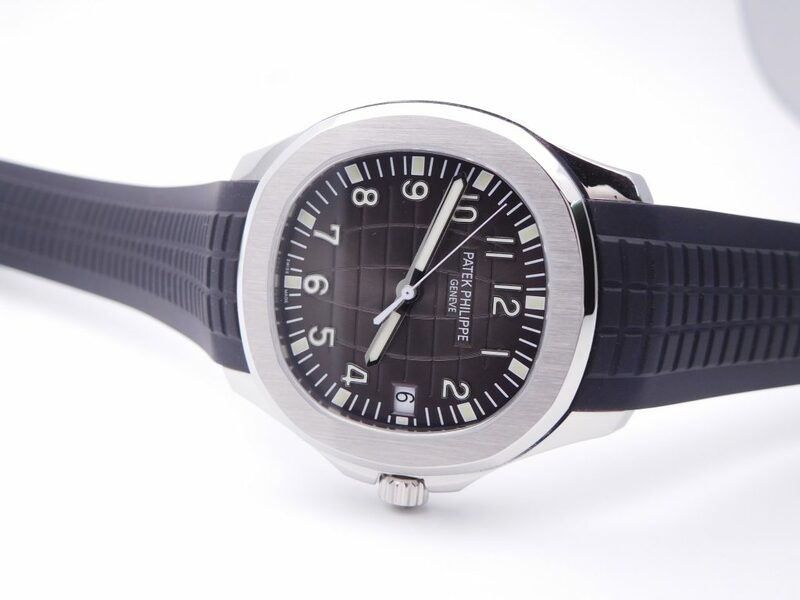 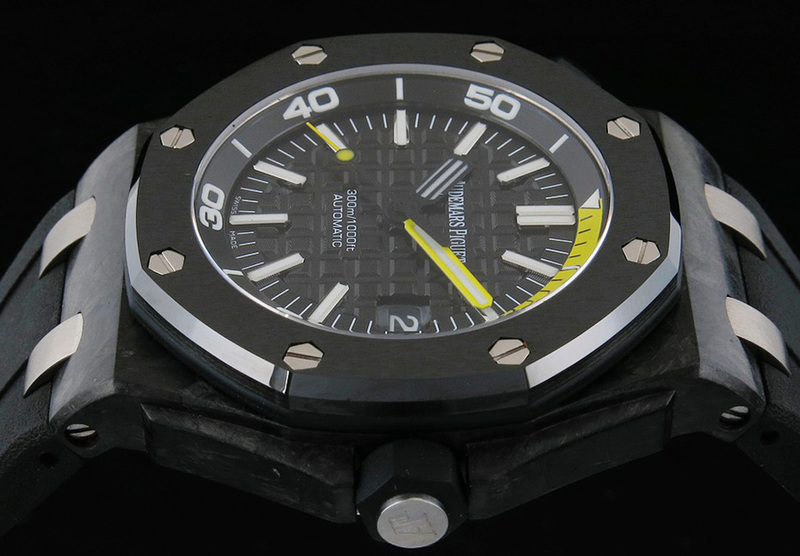 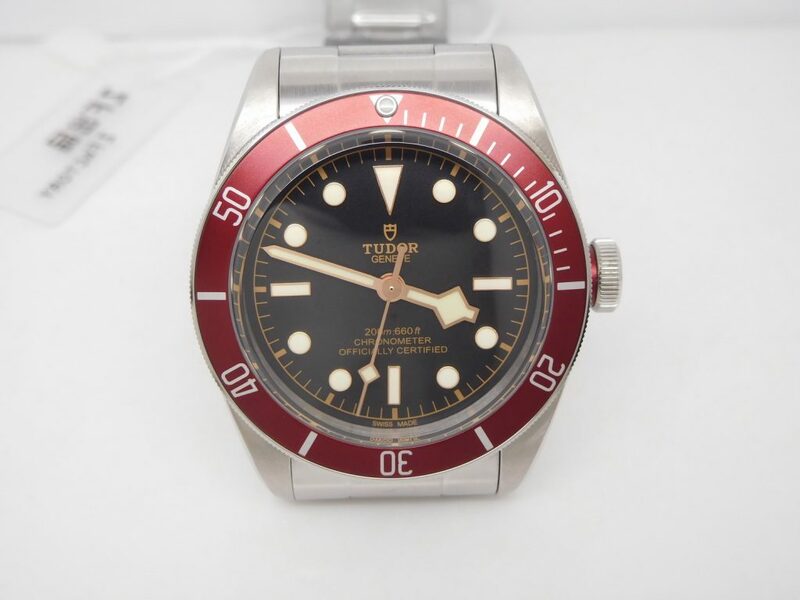 The replica completely adopted the same watch materials as genuine, from appearance, size to details, the replica has achieved to be perfect, it is just like wearing a genuine watch, if you want a 1:1 replica that is closest to genuine, could swim, has a superior lume and light weight, then 15706 is a good choice. 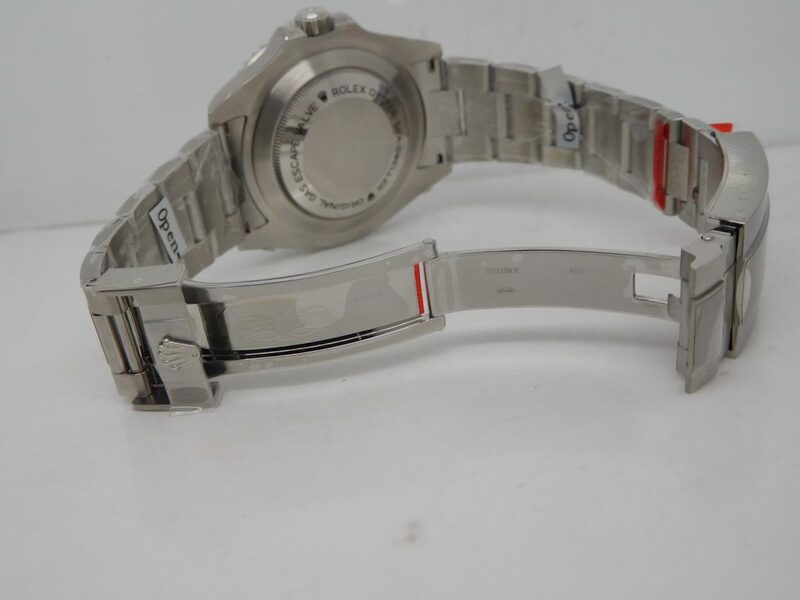 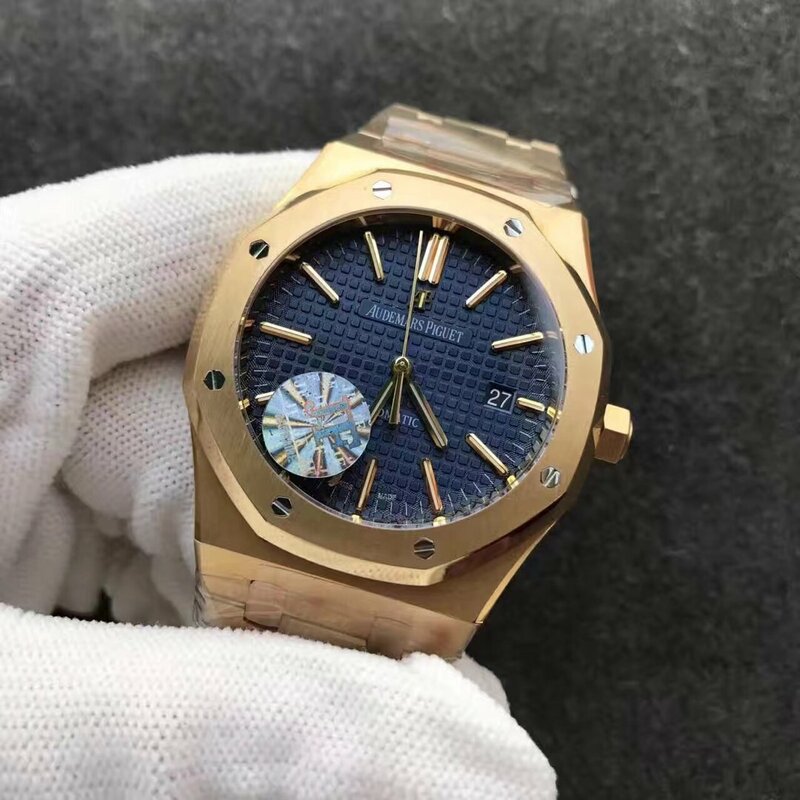 Super quality, the whole watch is only 120g, very light in weight, it is suitable to wear for sports and business occasions. 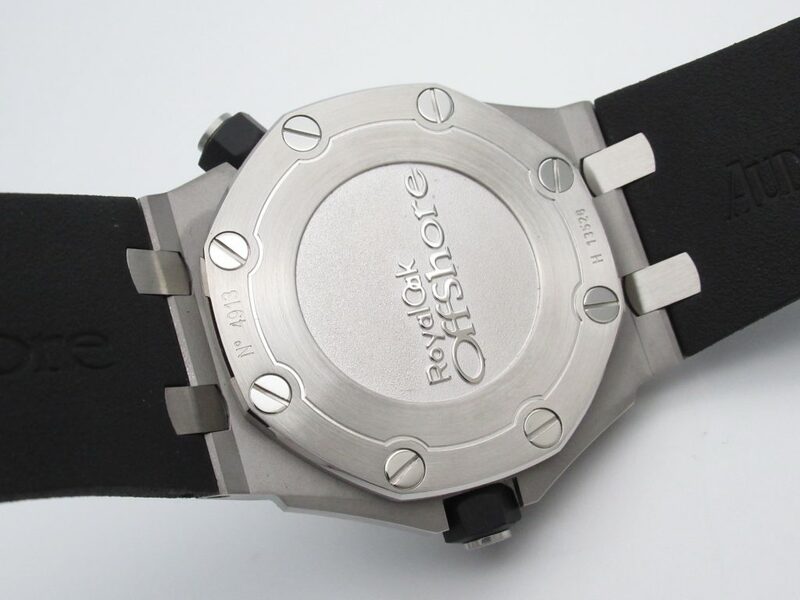 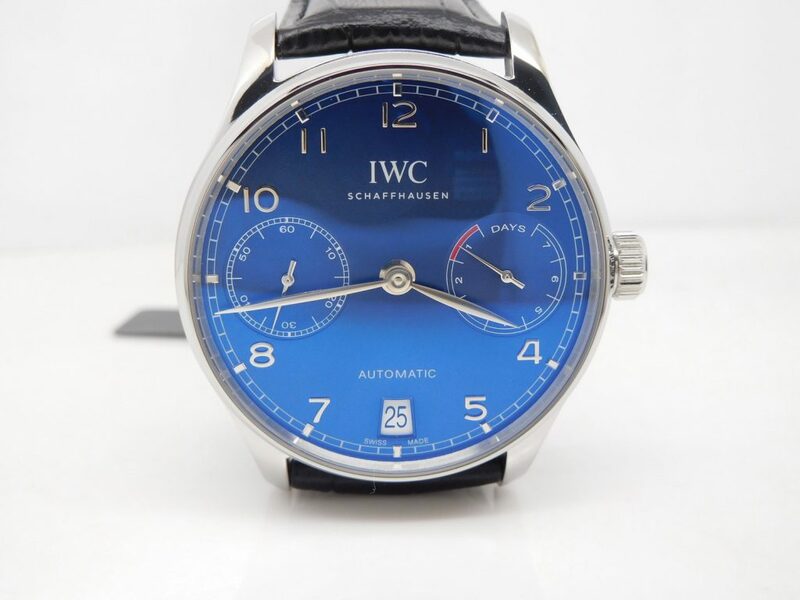 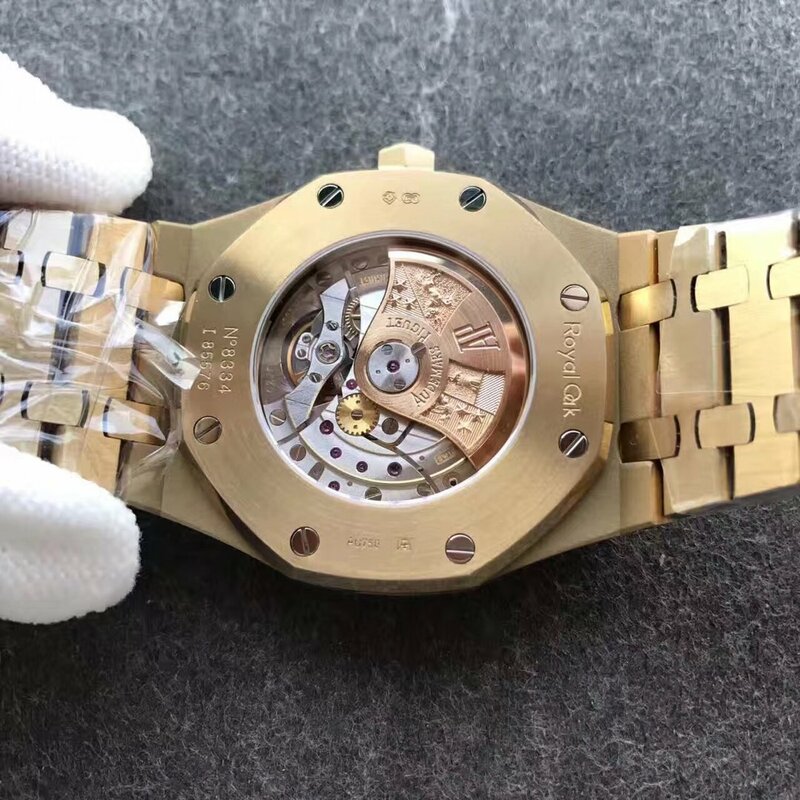 The replica is made according to a sample of genuine, it uses forged carbon material as per genuine, one-forged case piece has features of genuine carbon case, very lightweight, less than 120g in weight, including bracelet and buckle. 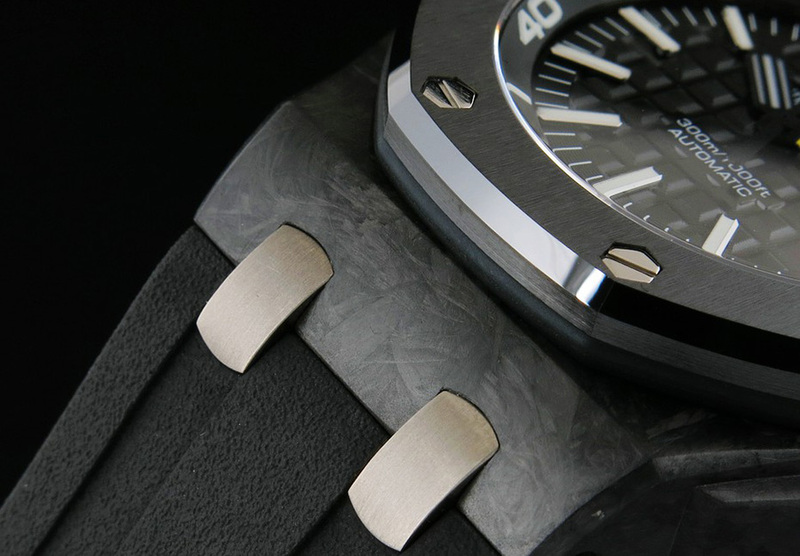 Not that heavy like the stainless steel in the past. 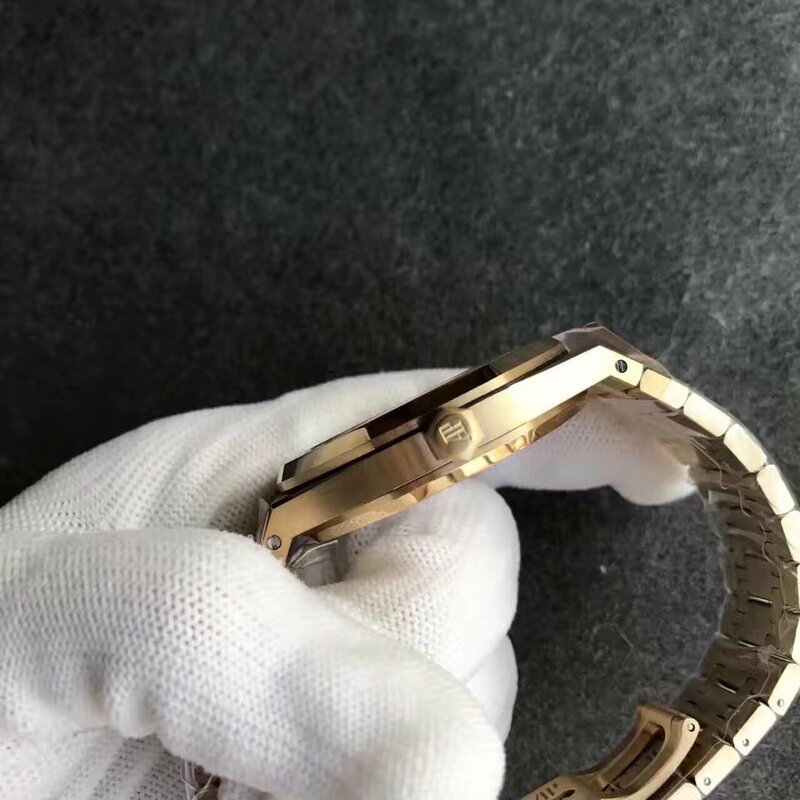 Black bezel is ceramic that is scratch resistant and very smooth, it is processed by precision technology, the front size of the ceramic bezel is brushed and has good texture, the side face is polished, there are eight steel screws went through to fix bezel, case and case back tightly. 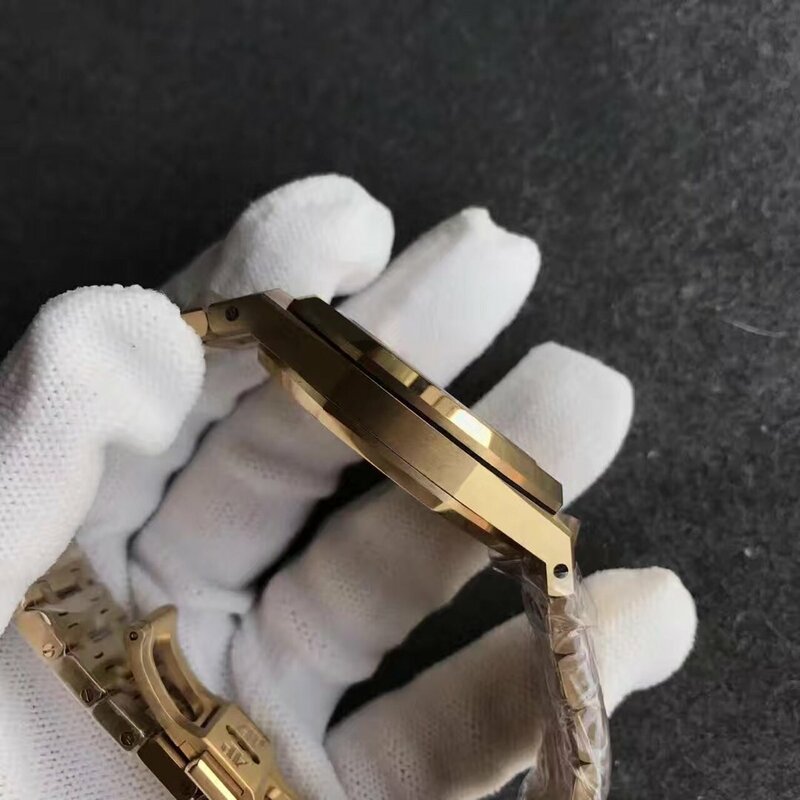 The band uses synthetic rubber that is processed by sulfur treatment, it will not be afraid of the erosion of sea water, chlorine, detergents and perfumes, even do not lose elasticity after a long time of use. 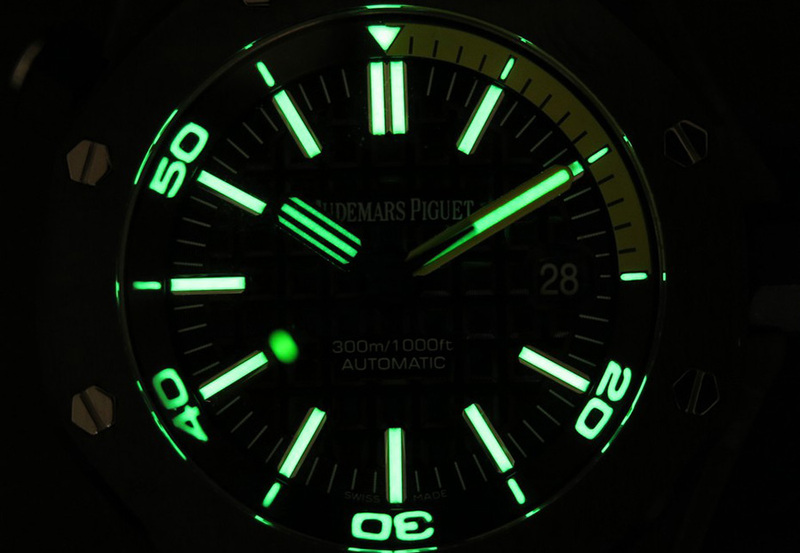 The replica also has a perfect dial lume, it uses real genuine C1 SuperLuminova on hour markers and hands, so the dial lume is great and very strong, you can see the green light emitting from hour markers and hands, they are clearly readable in dark place. 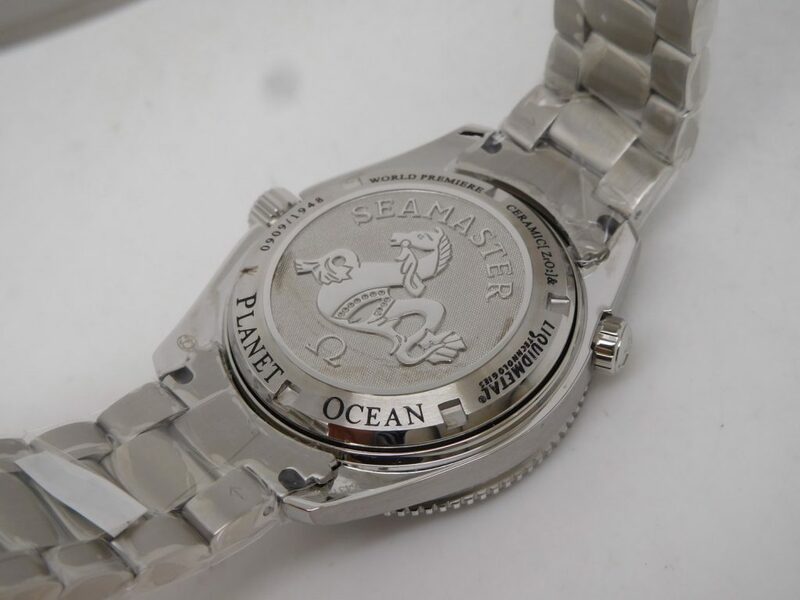 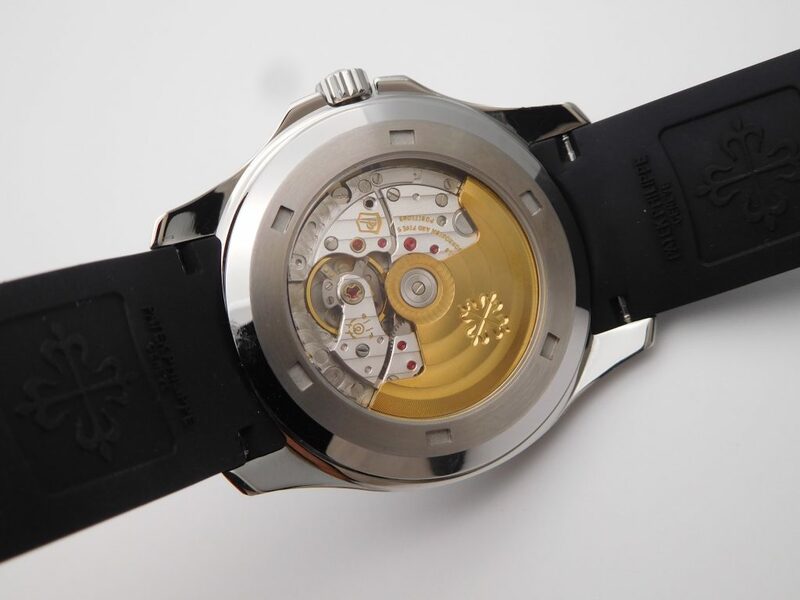 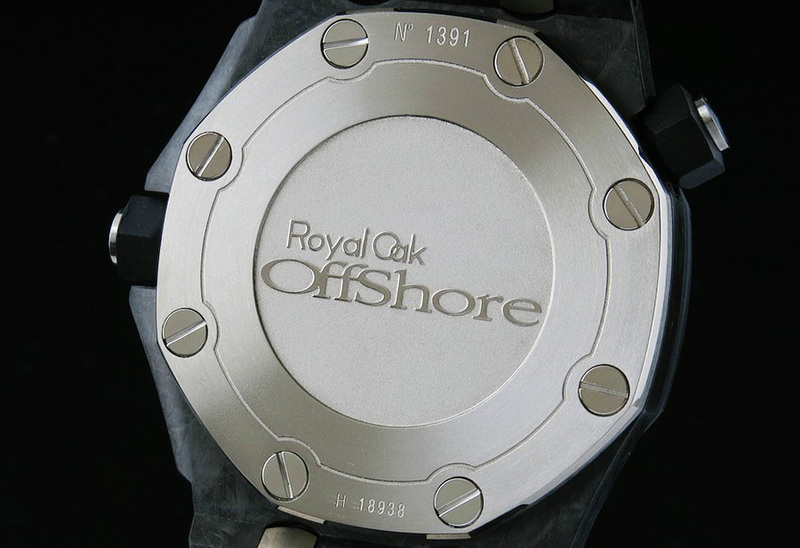 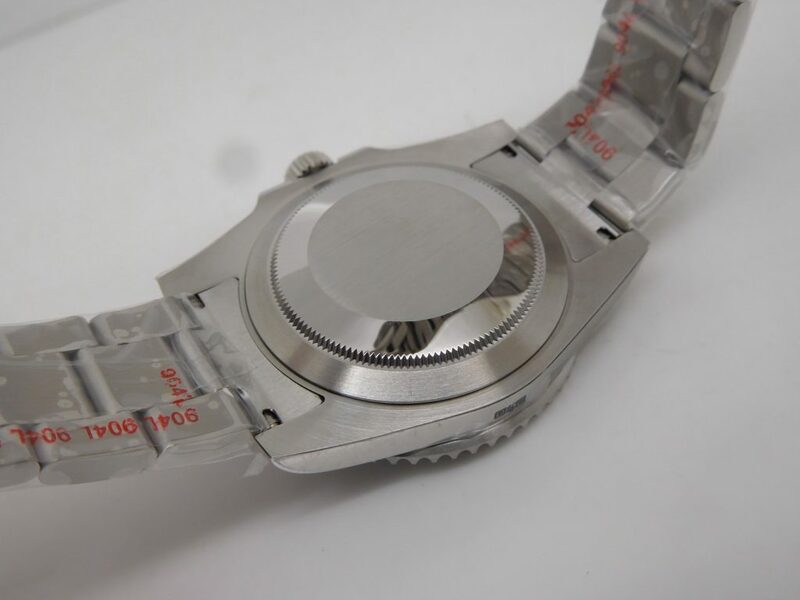 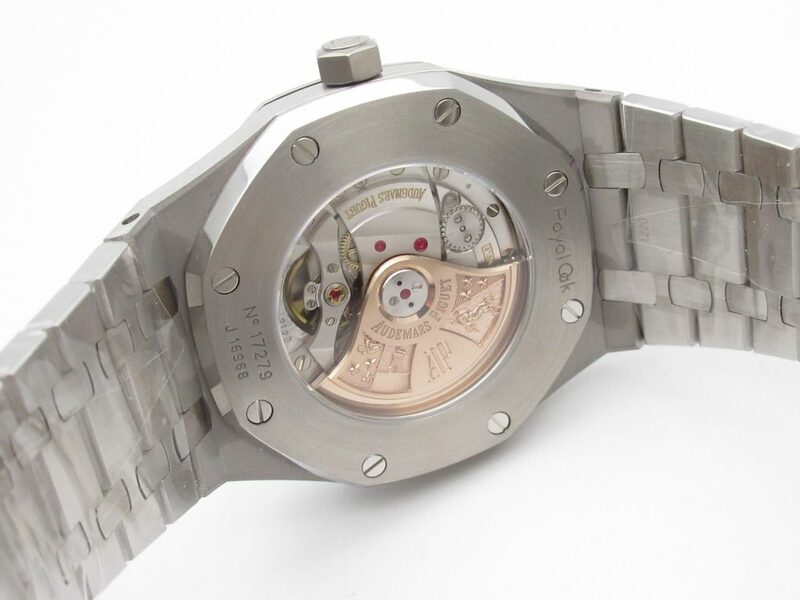 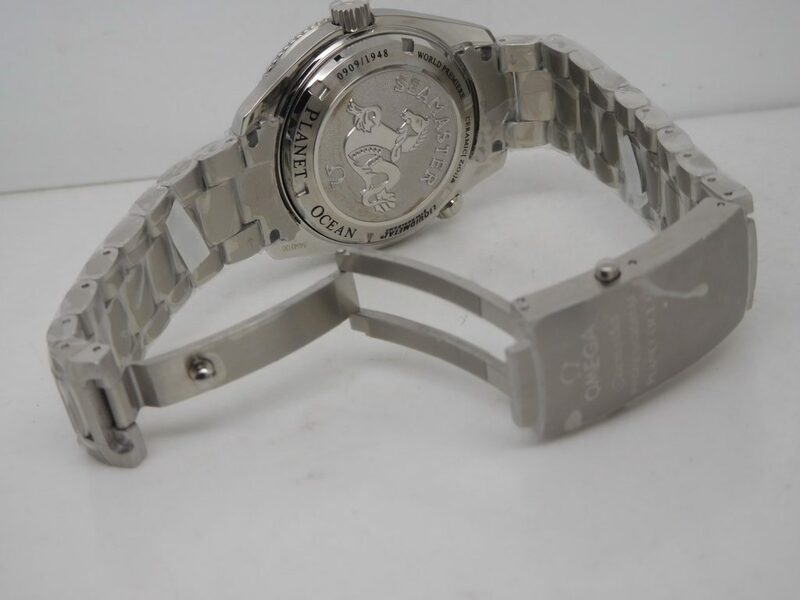 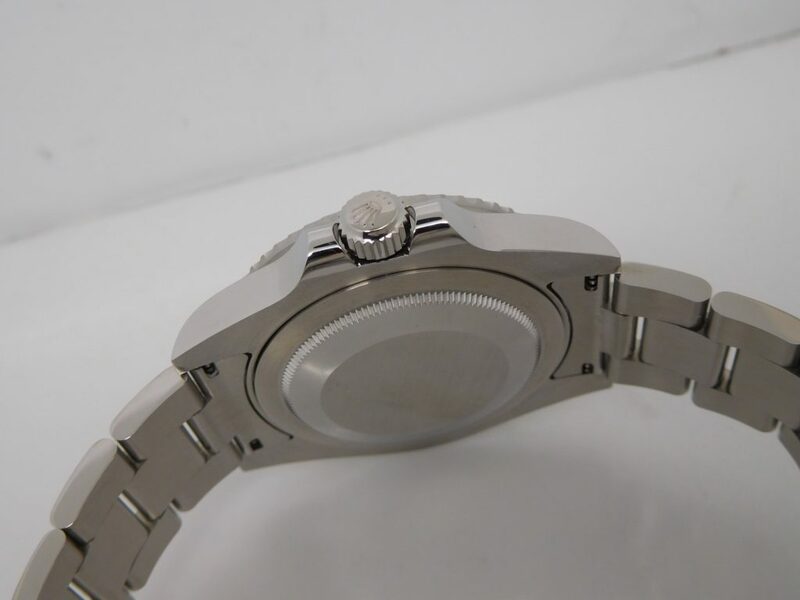 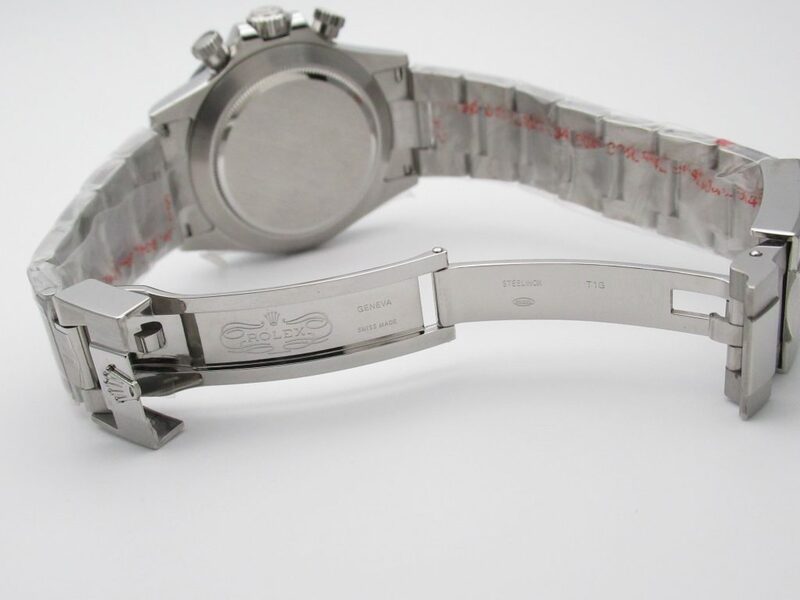 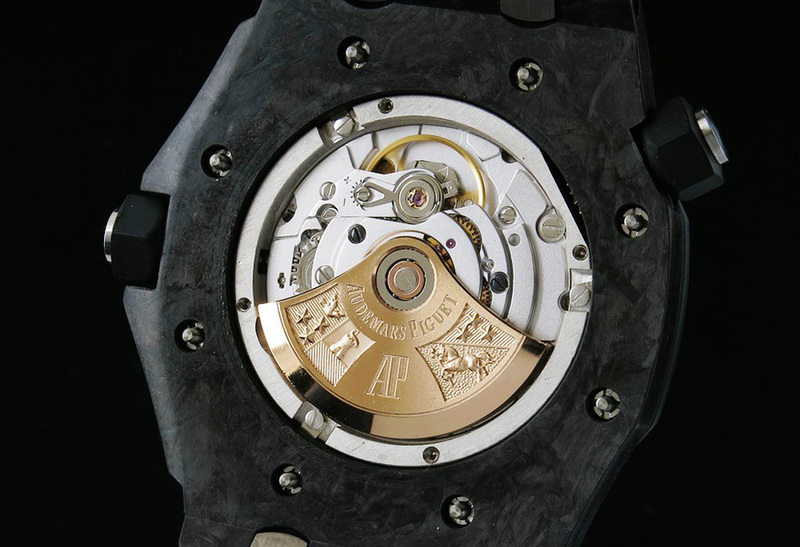 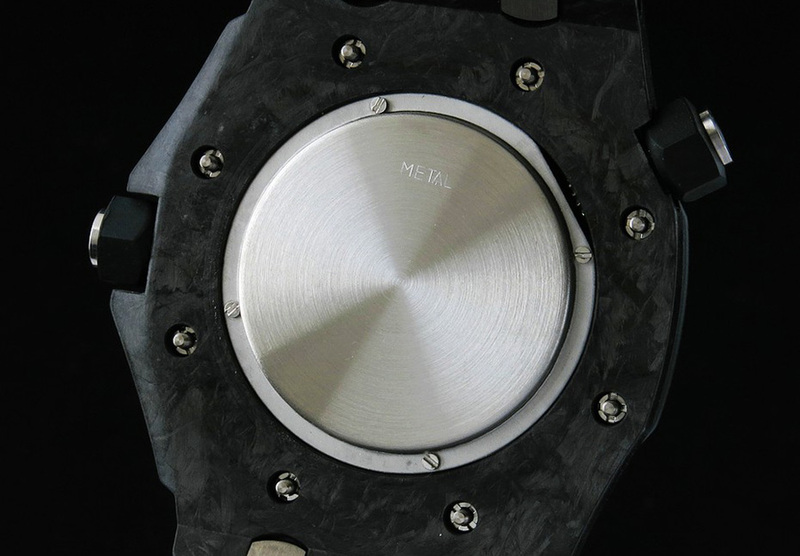 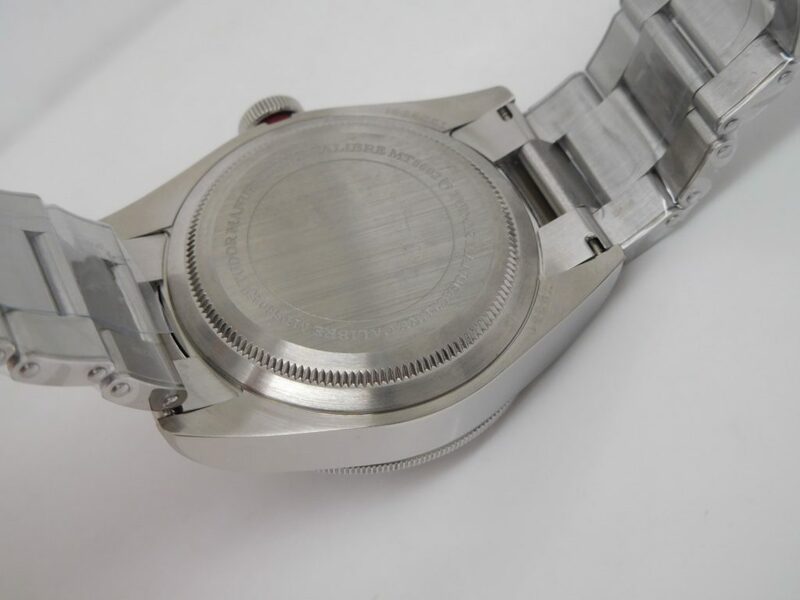 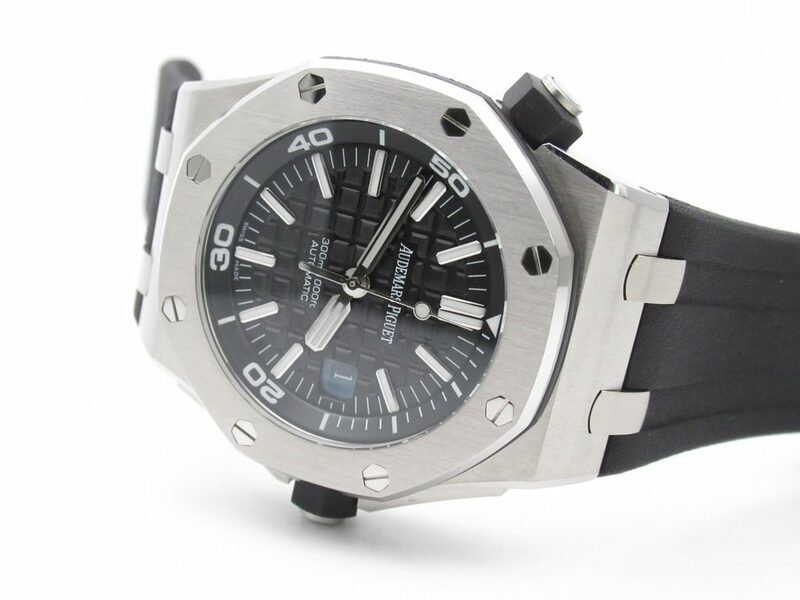 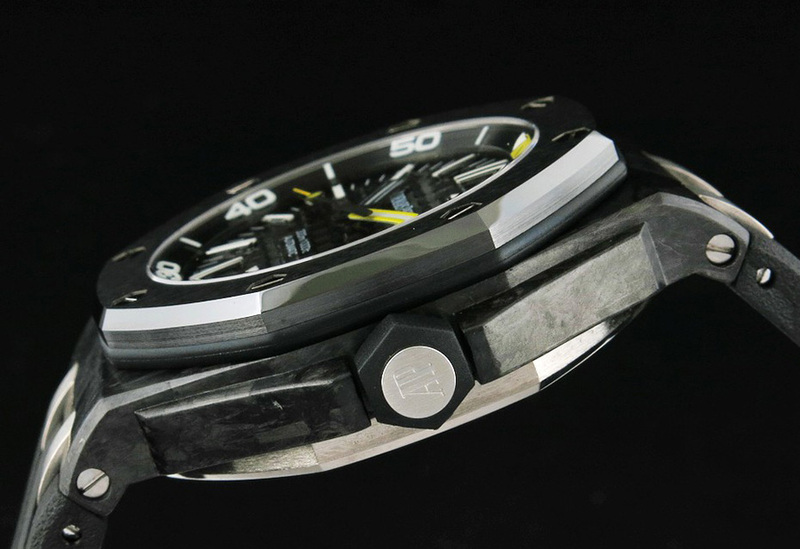 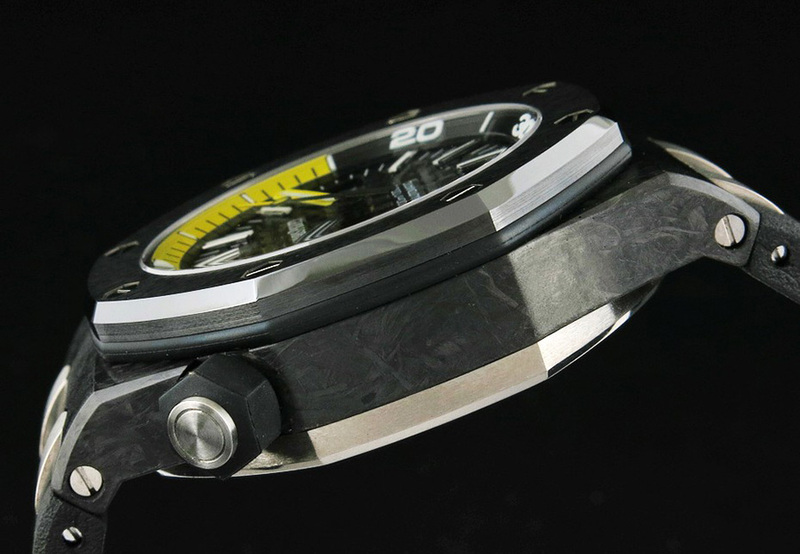 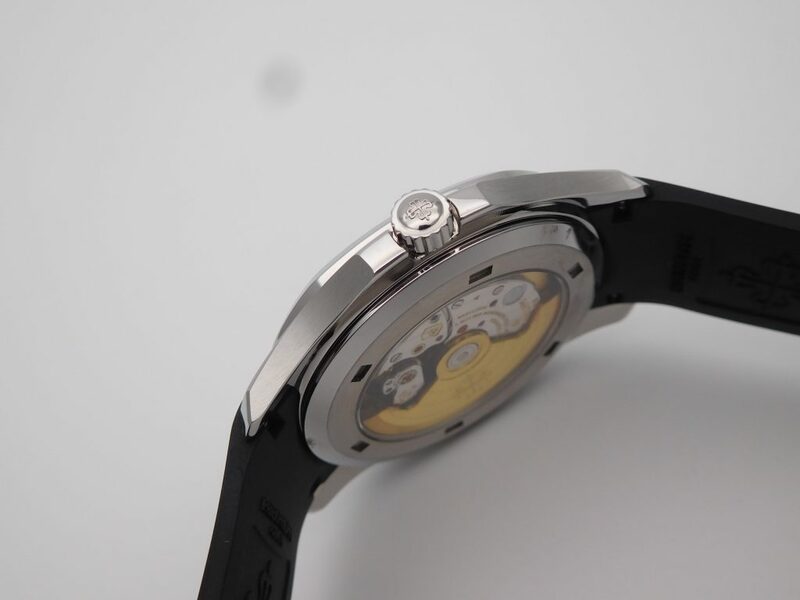 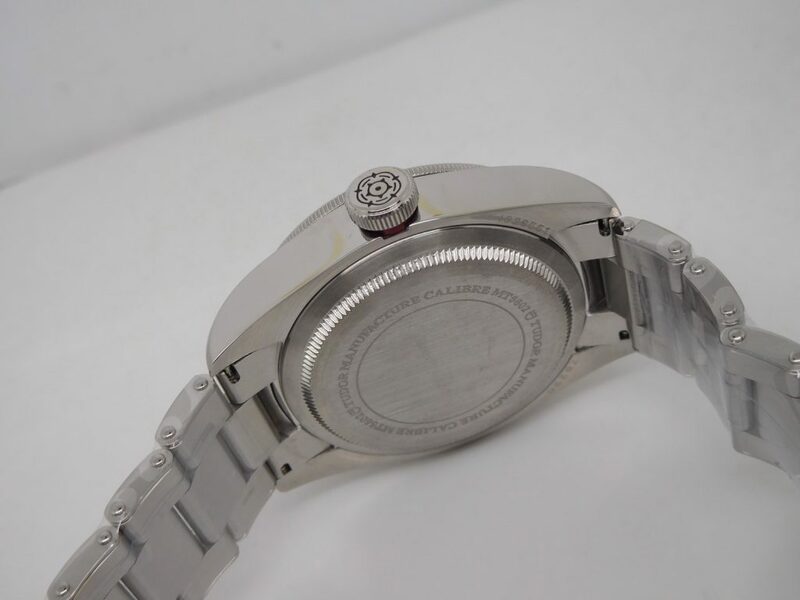 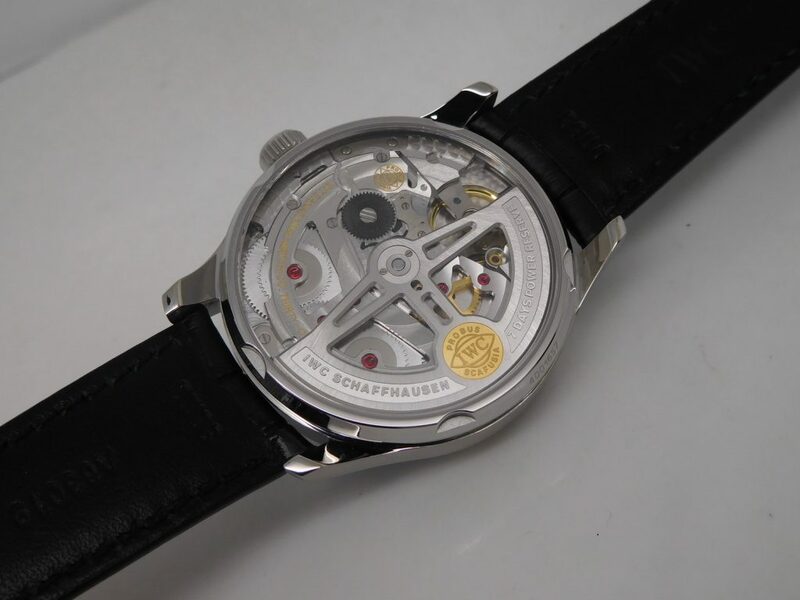 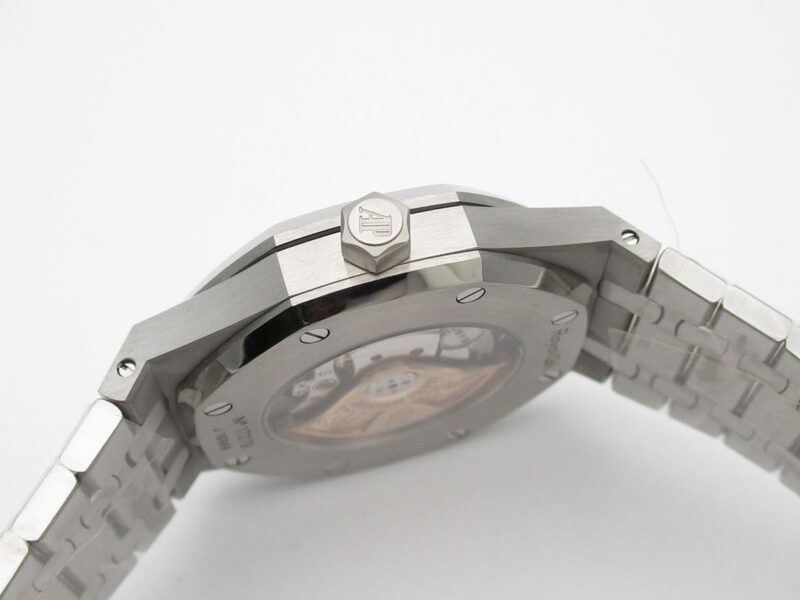 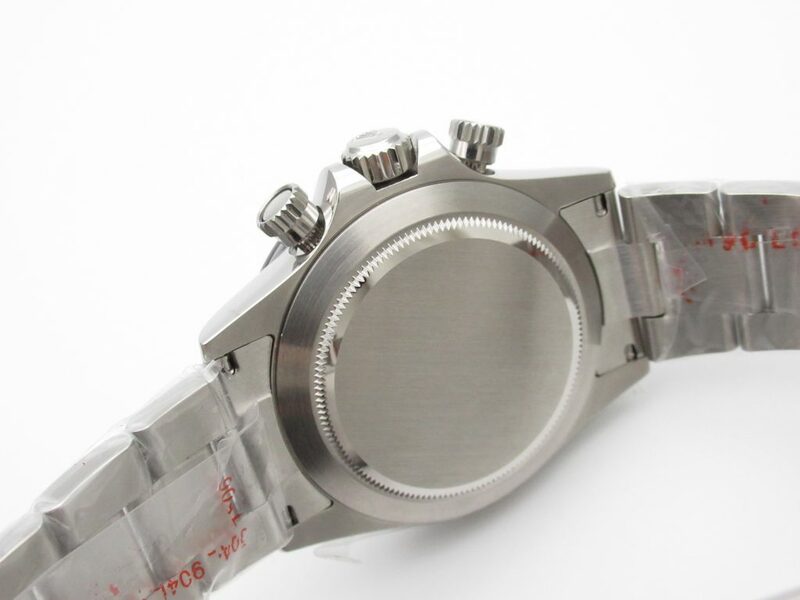 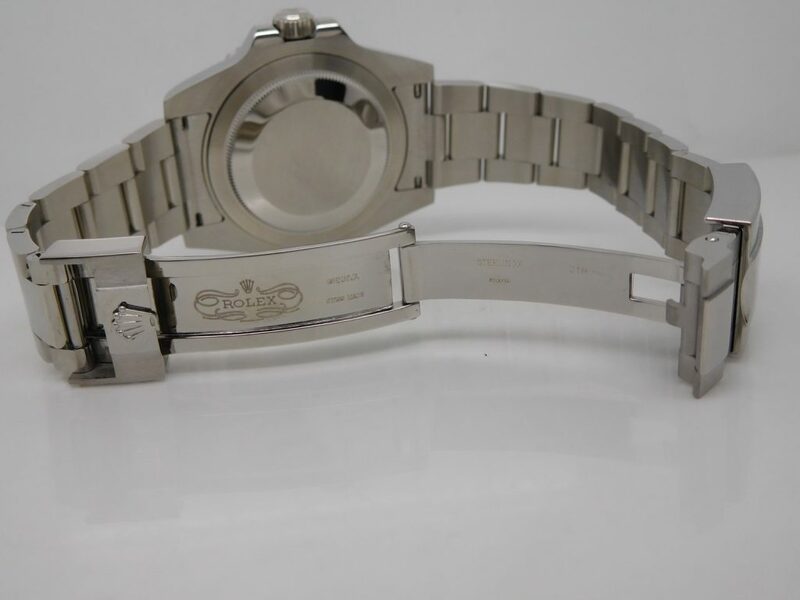 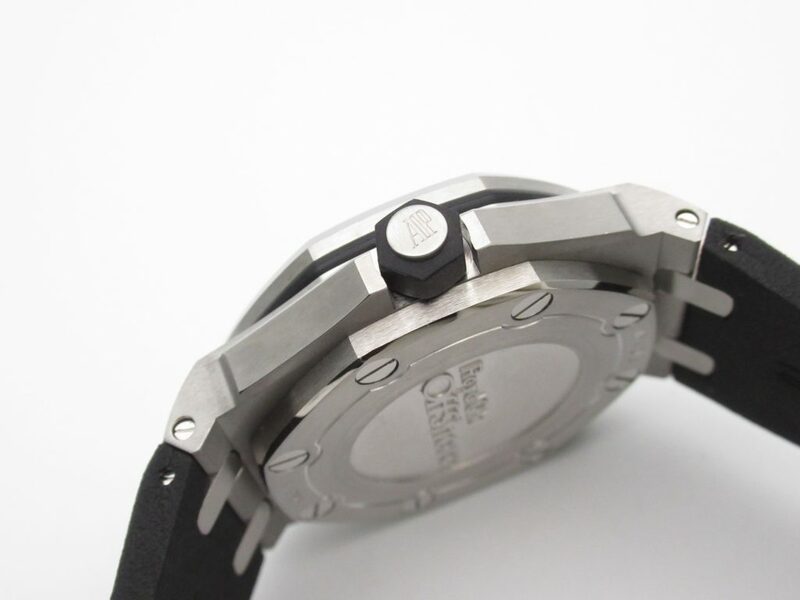 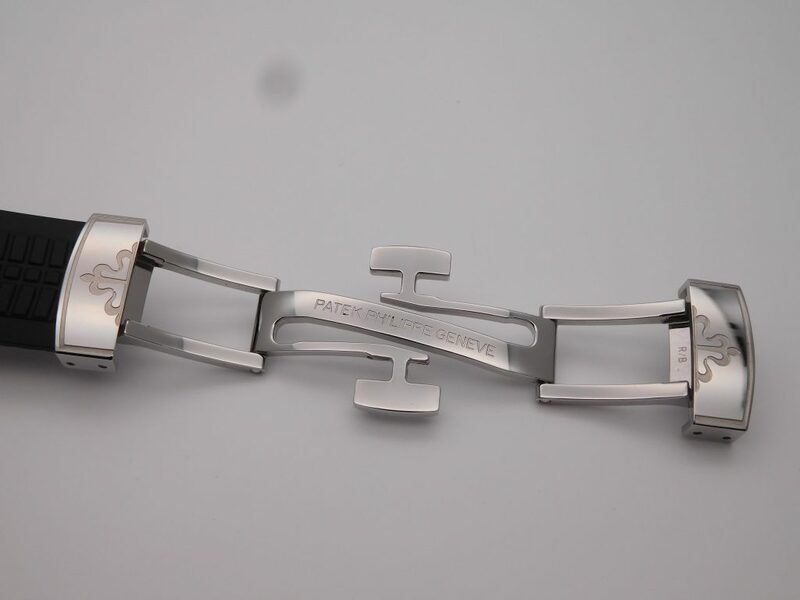 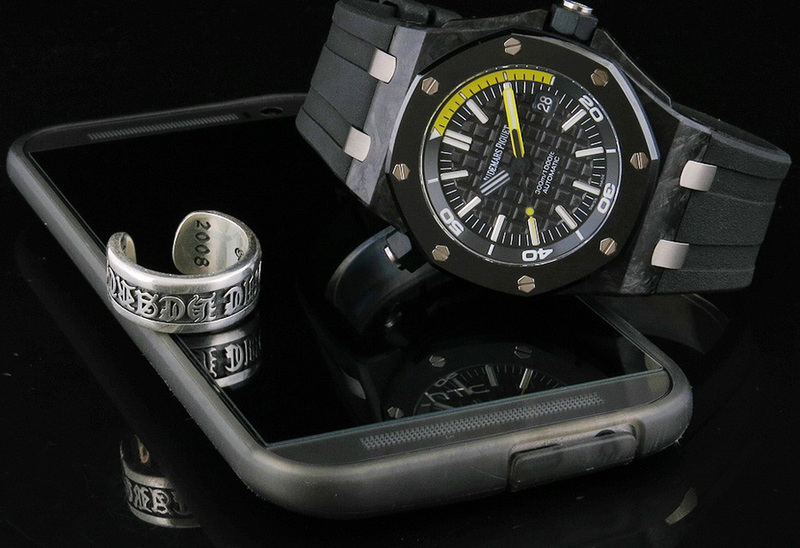 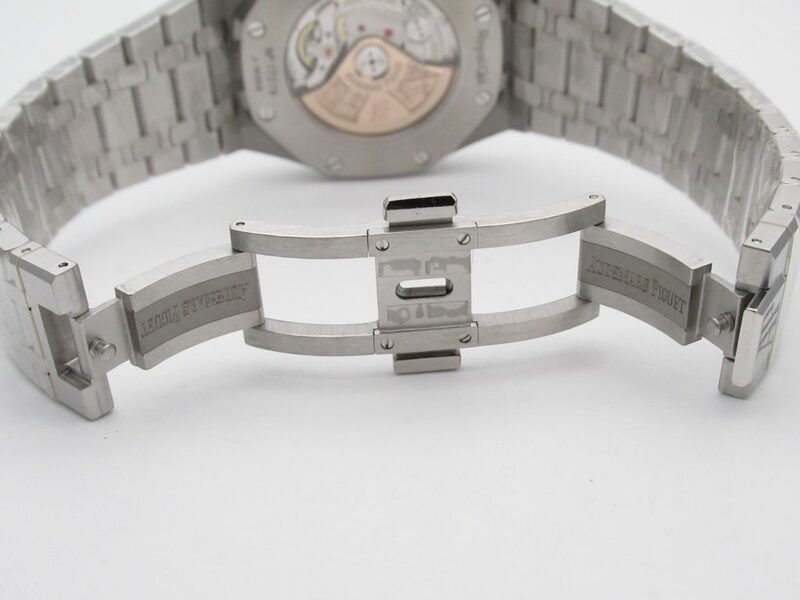 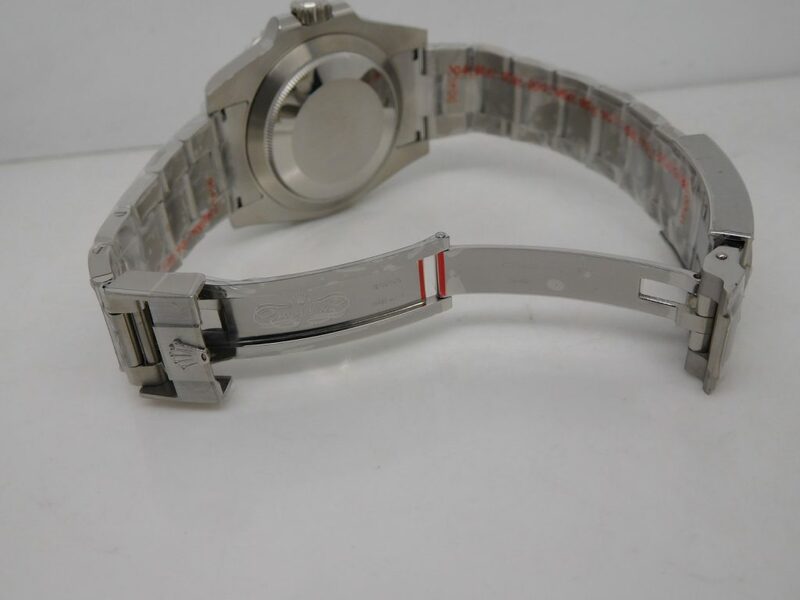 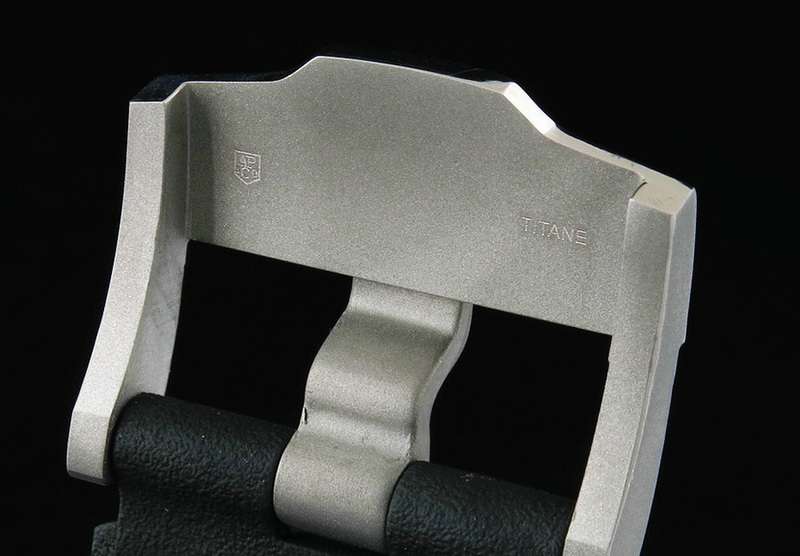 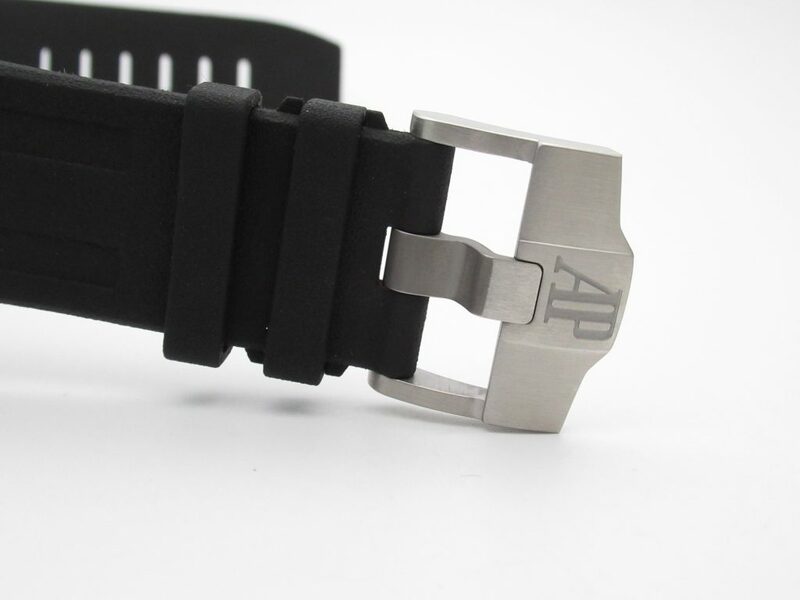 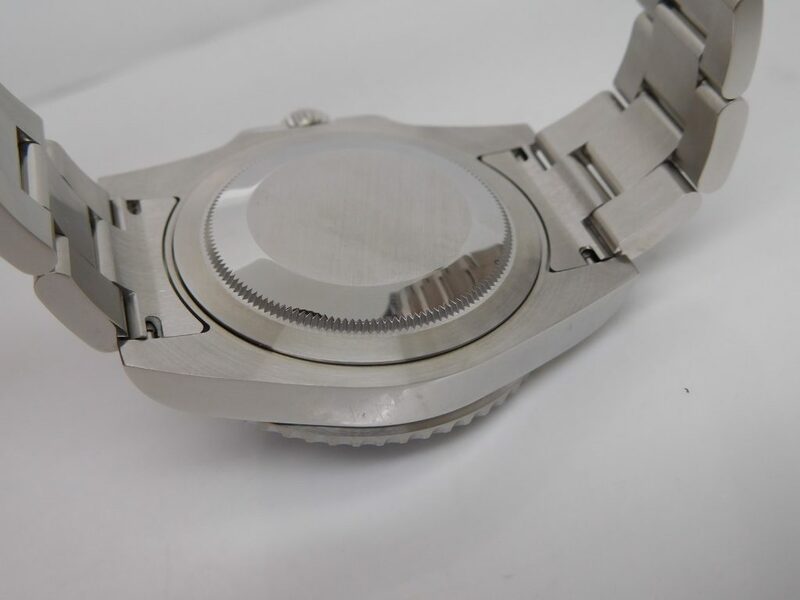 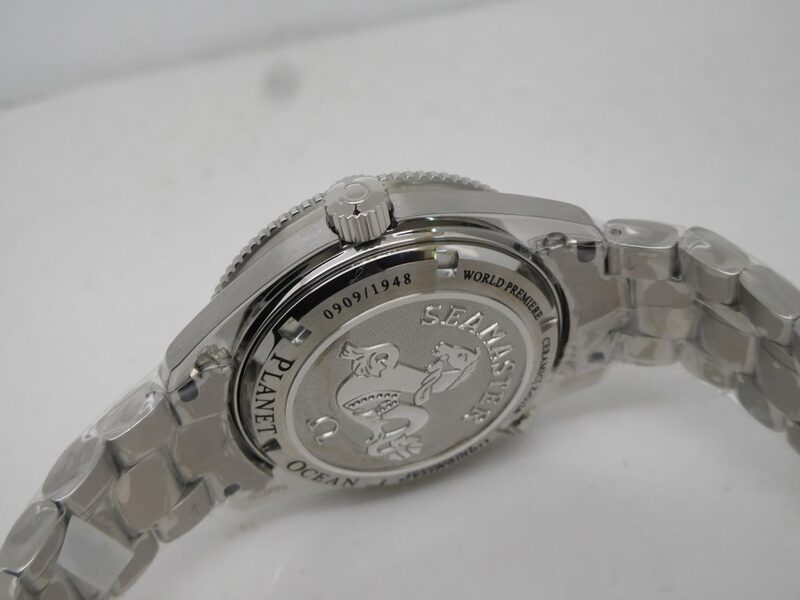 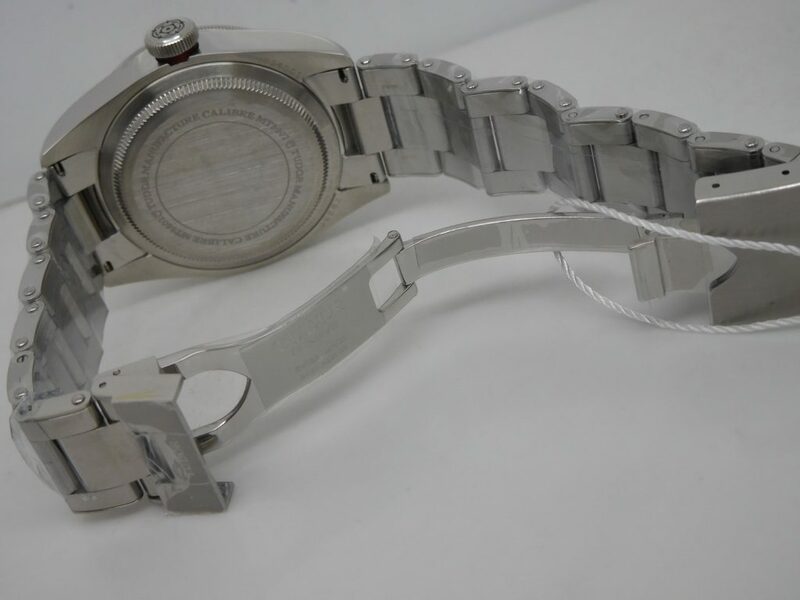 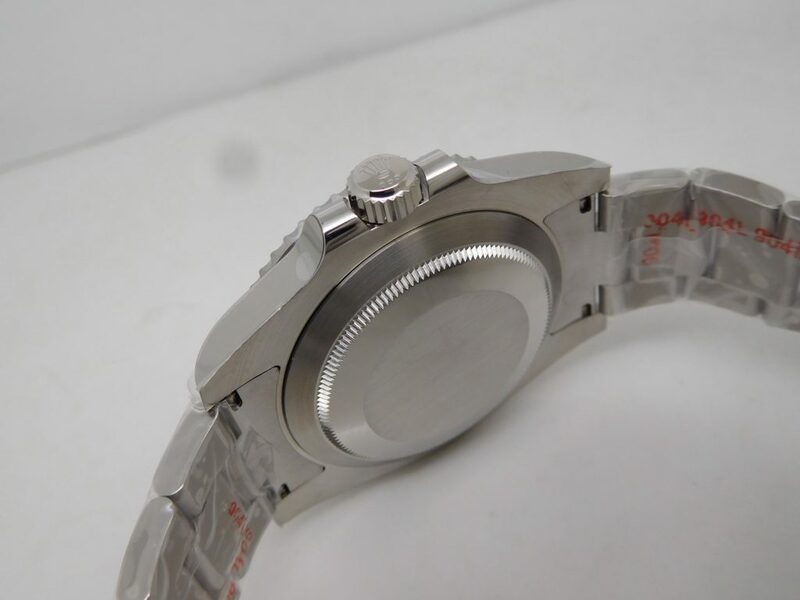 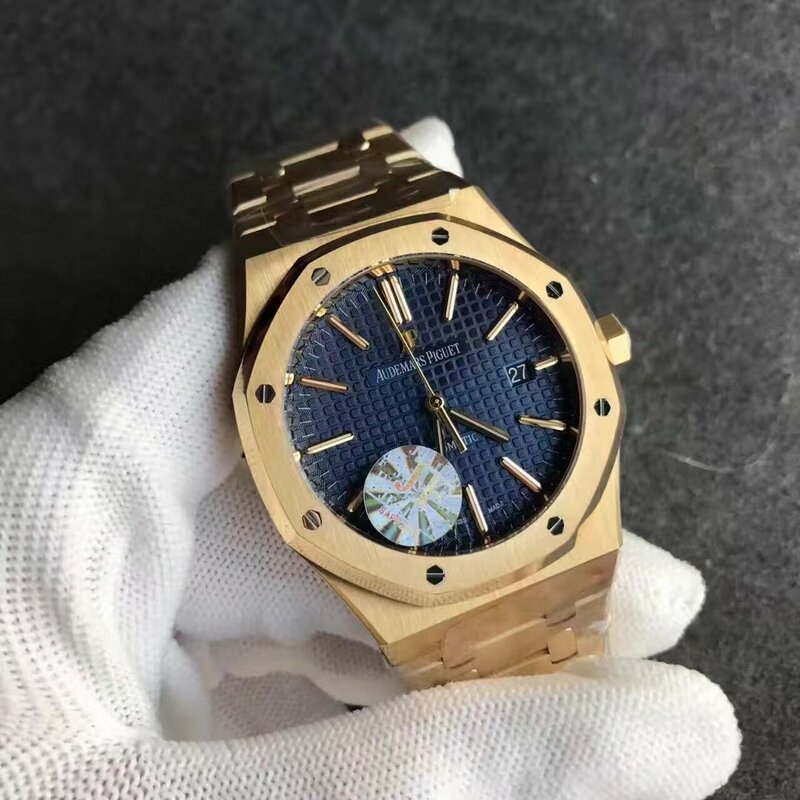 About the caseback and clasp, they are all made of titanium material, the sandblast-finished titanium clasp makes you feel superior, especially the AP logo, which is a high end finish. 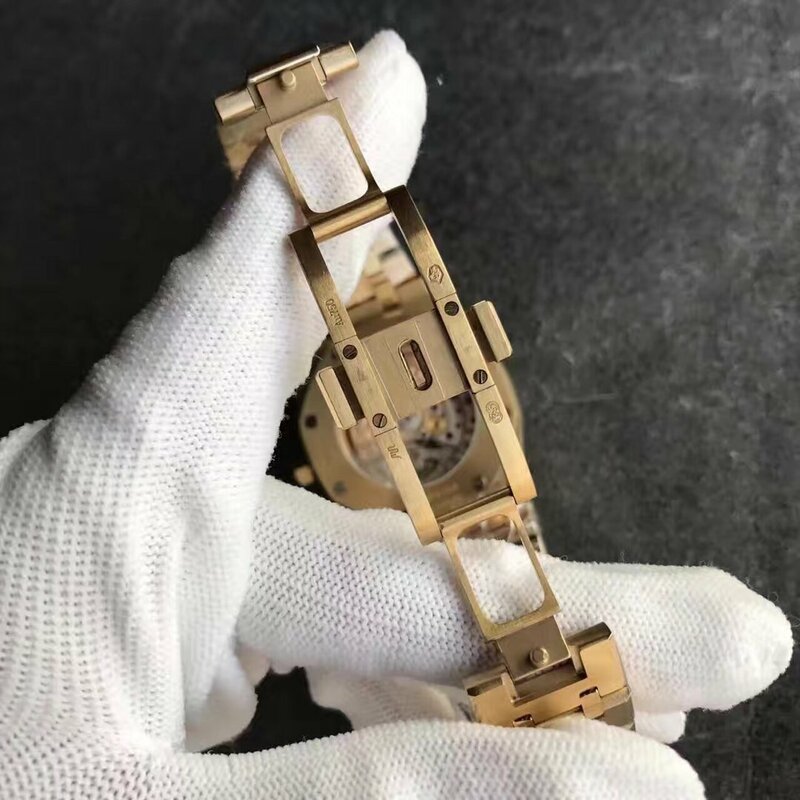 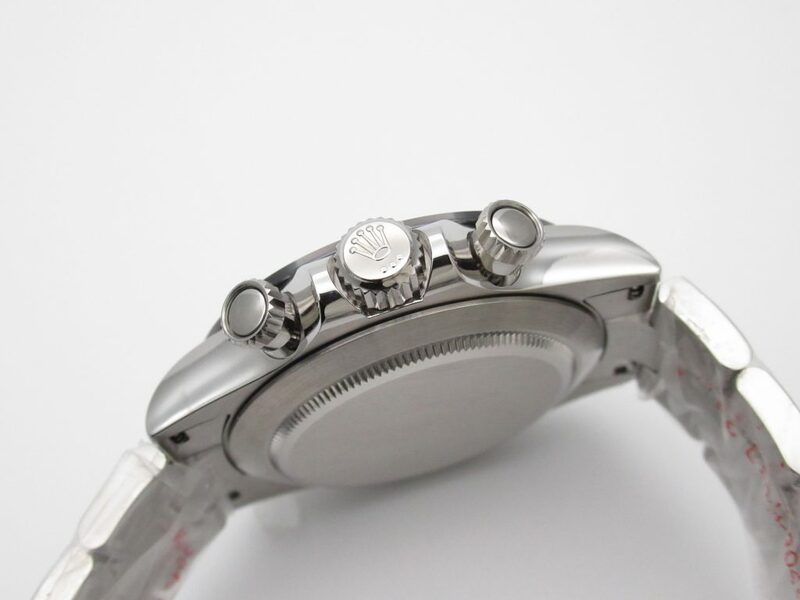 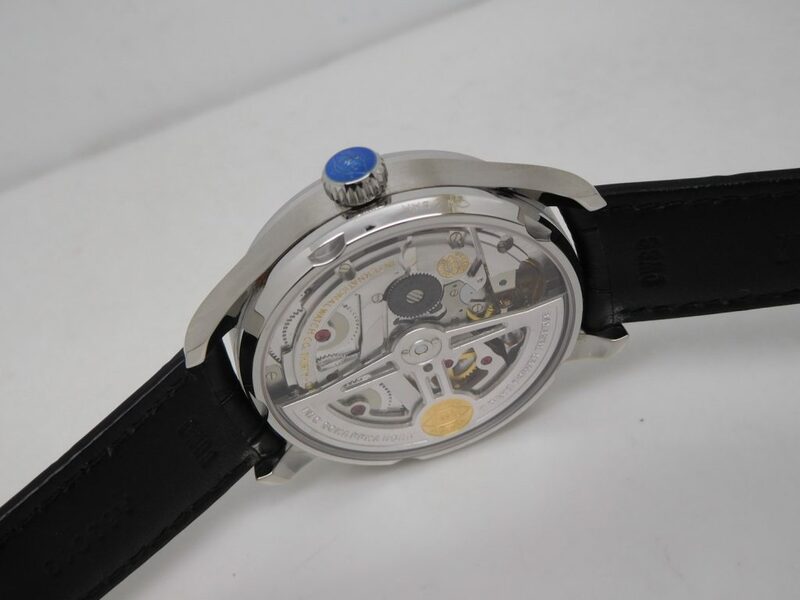 Opening the case back, you will find a metal iron case inside protecting the movement, it also has antimagnetic performance. 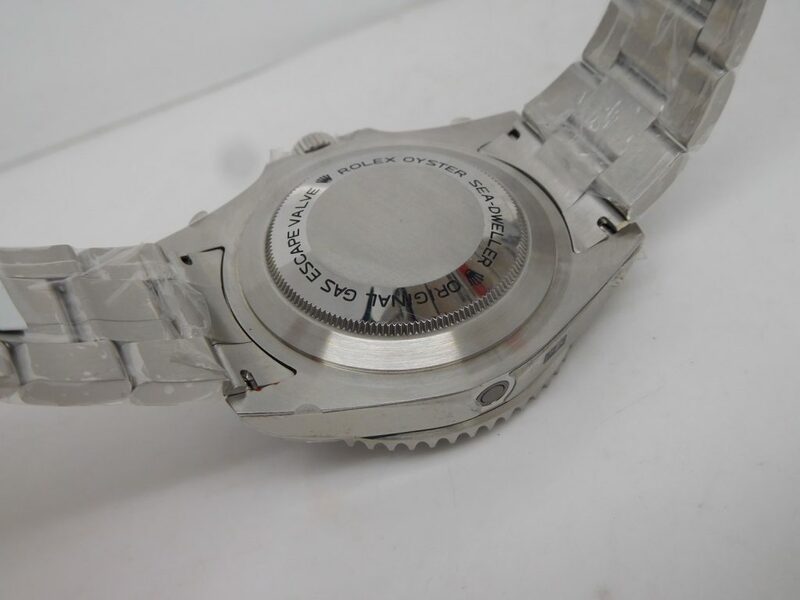 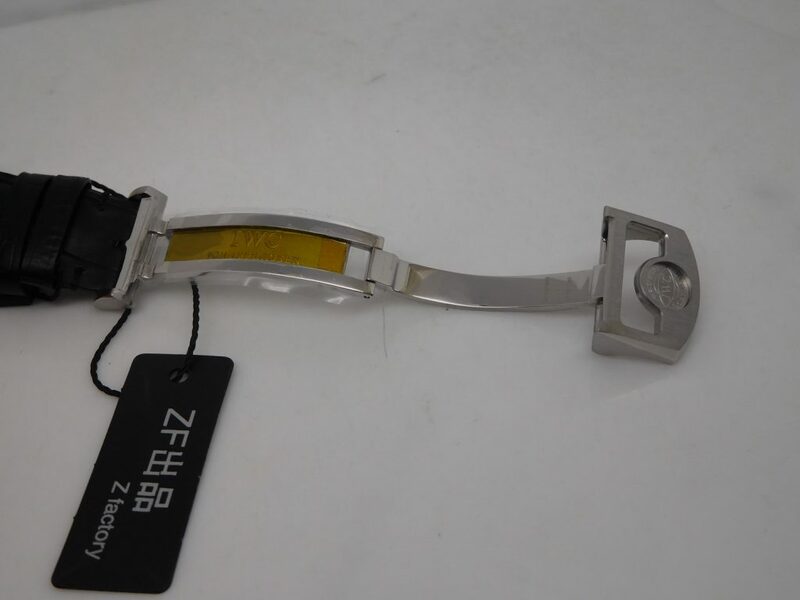 The movement is an Asian Sea-gull 2824 that is cloned to genuine ETA 2824. 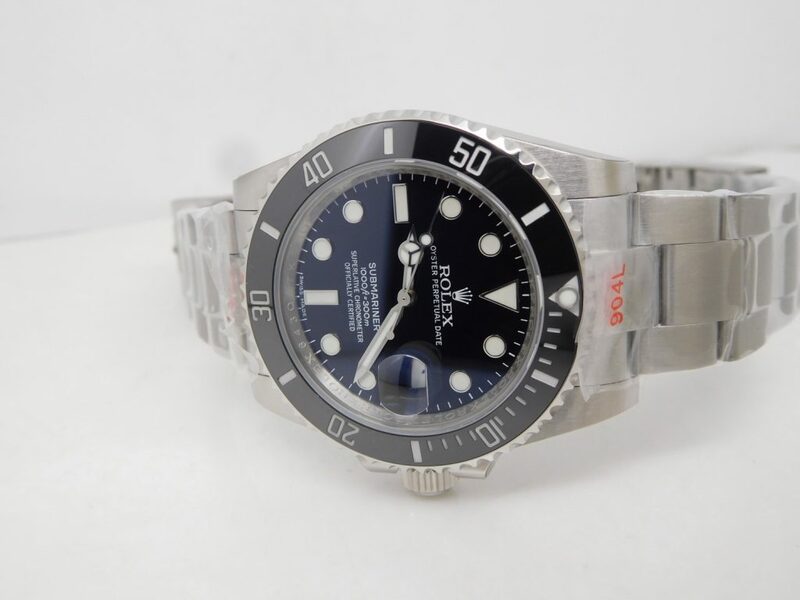 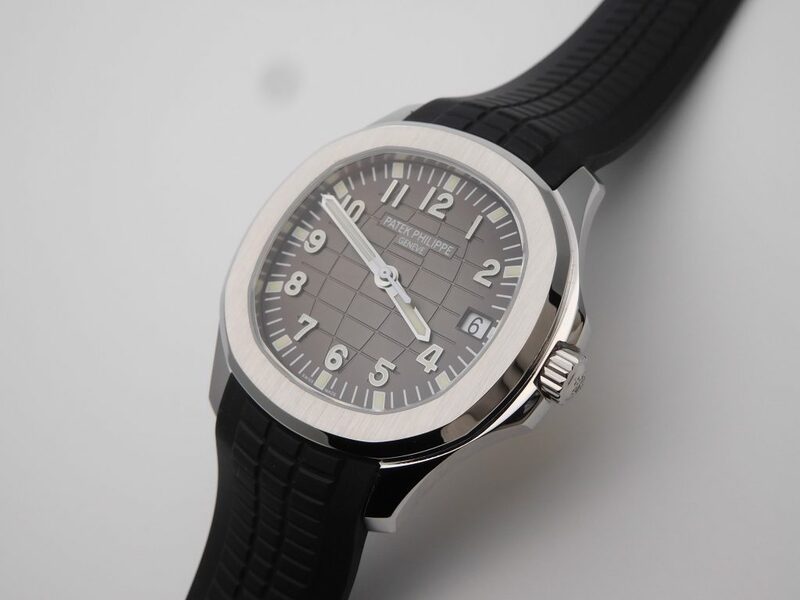 I recent days, this Factory, J12, has also published the replica Forged Carbon Diver with clone 3120 movement, but the price is also very expensive. 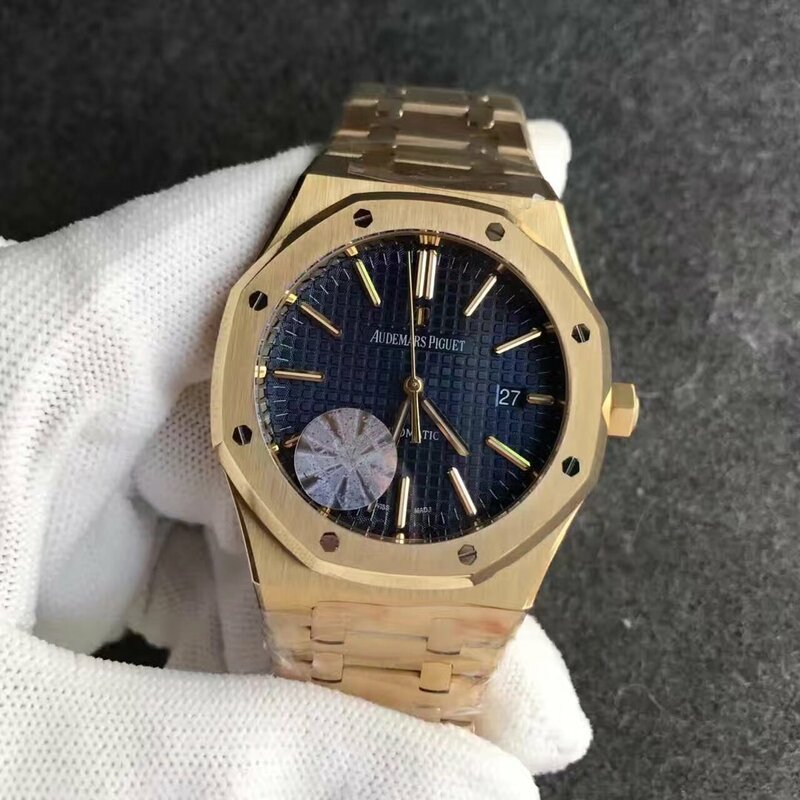 Now the review is completed, welcome to leave comments and talk with me.